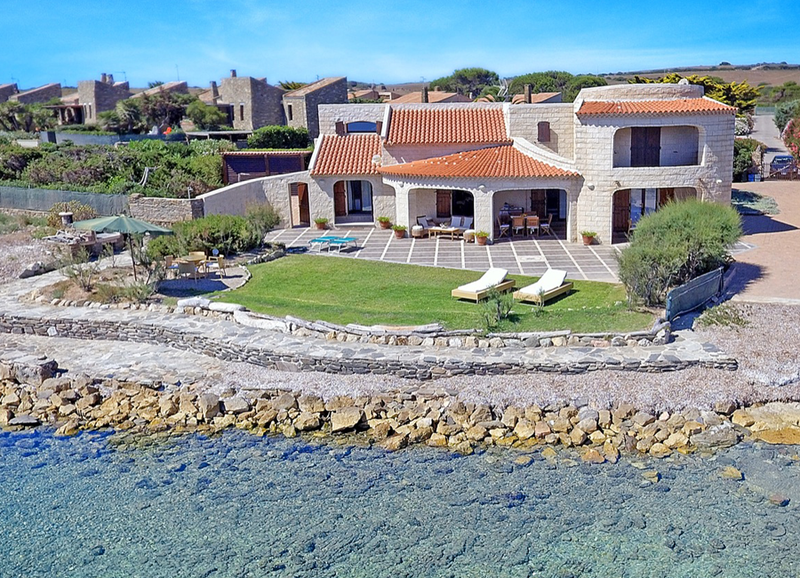 A lovely waterfront villa of 200 square meters, just 1 km from downtown, set in a Mediterranean garden of 1,500 square meters, overlooking the sea and the most beautiful marine park of the island. 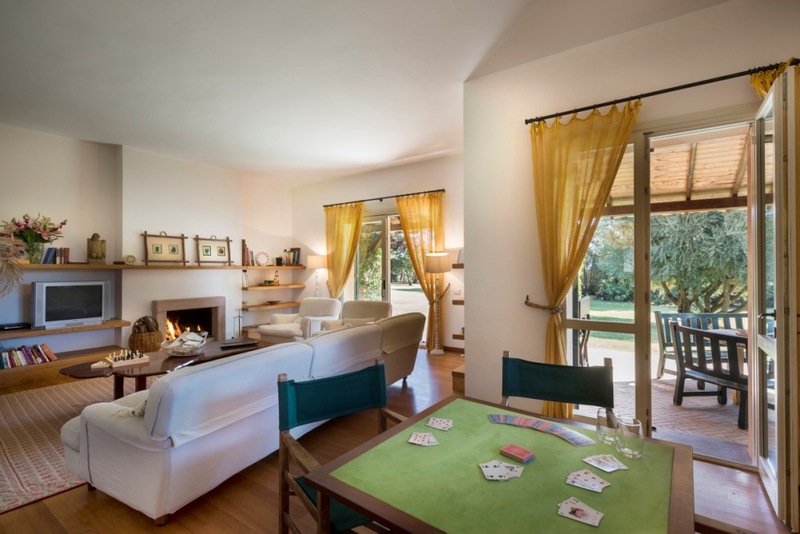 It consists of a spacious internal living room with fireplace and 5 rooms with bathroom which comfortably accommodate 11 people. 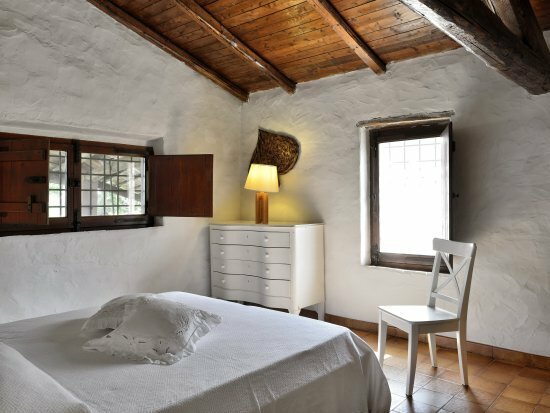 The furnishings are all made in an authentic Sardinian style. 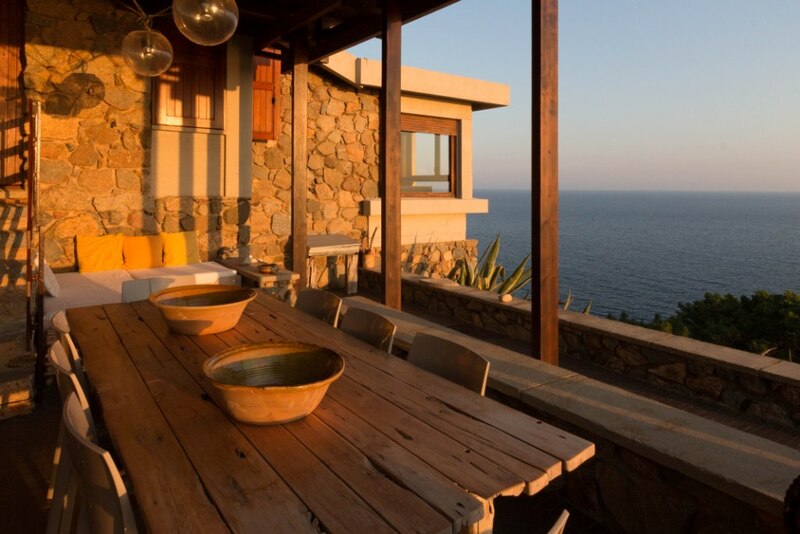 Outside a large veranda enhances the breathtaking sea view and the infinity gardens. 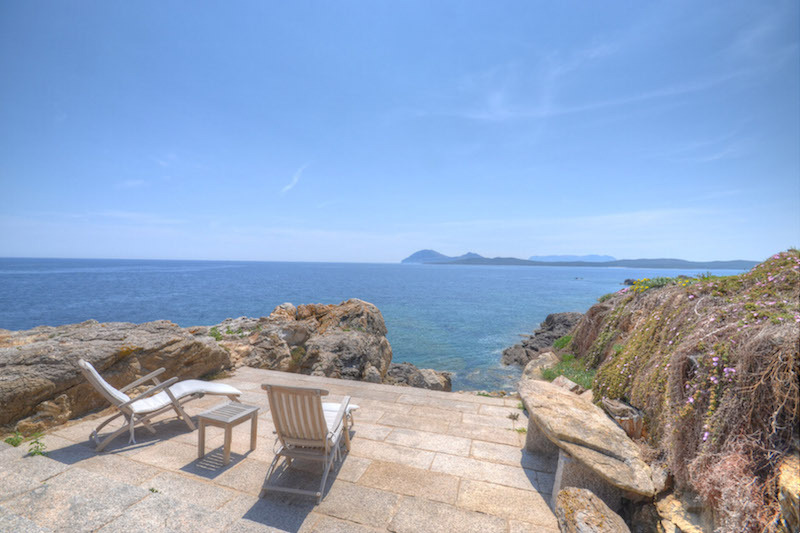 This location is a fantastic villa located in south Sardinia, benefiting from an incredible sea view. 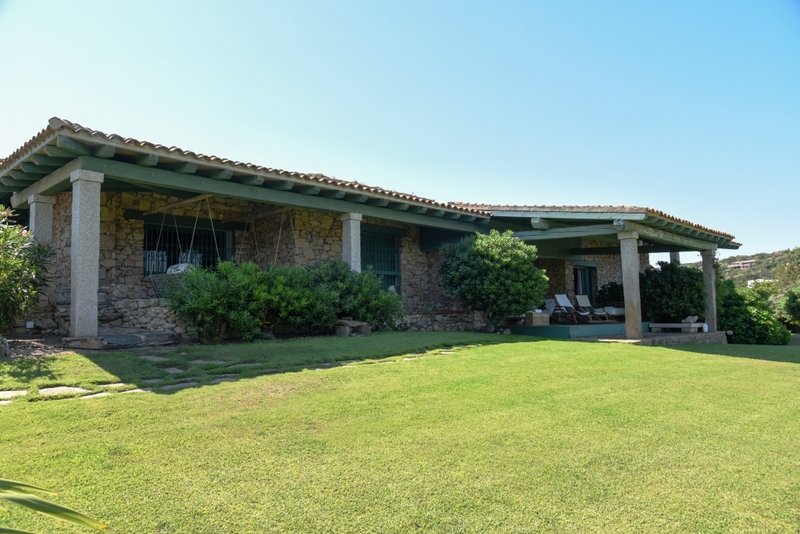 The property, despite offering full privacy and peace, belongs to a complex comprising several villas and a sporting centre. 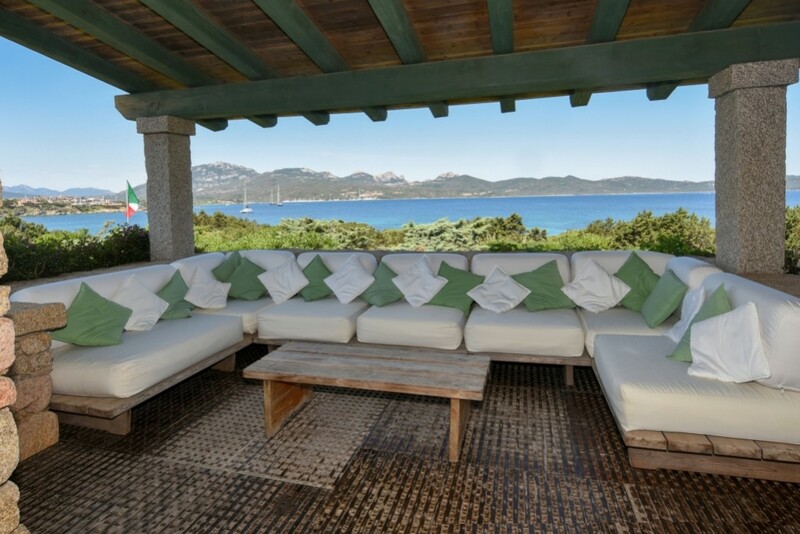 The villa is surrounded by a huge garden of about 2 hectares, with pines and Mediterranean plants, and a private beach with its own access. 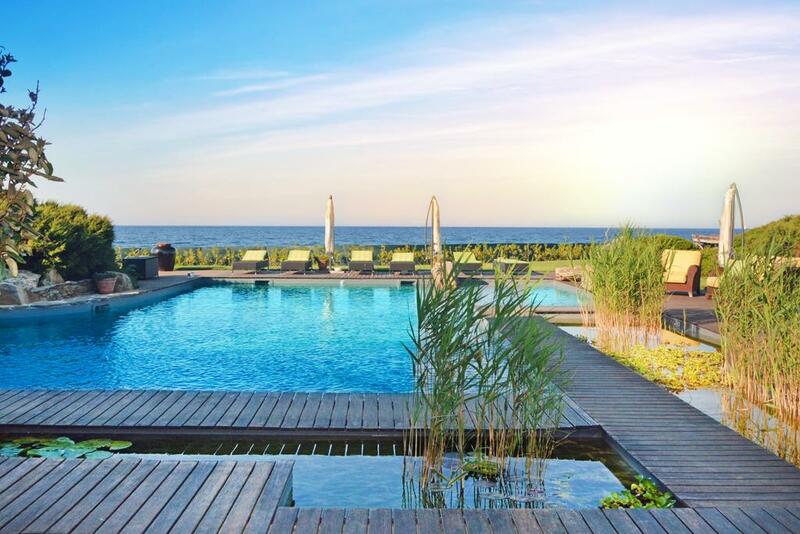 A panoramic covered terrace and an exclusive infinity swimming pool complete the relaxing atmosphere of this location. 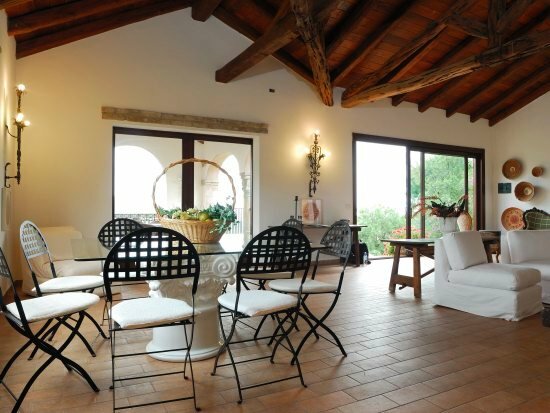 The villa, recently renovated, is a stunning house of about 350 sq.mt. 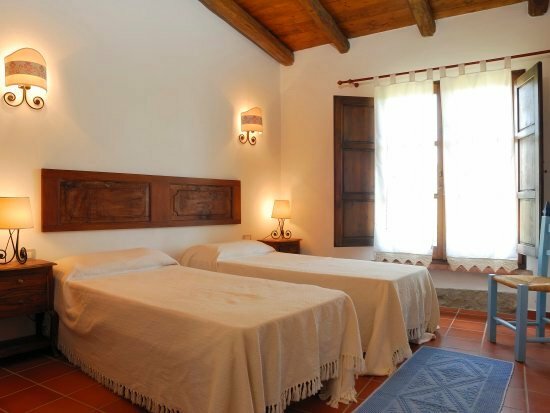 with four bedrooms, three bathrooms and a living room with a traditional Sardinian fireplace. 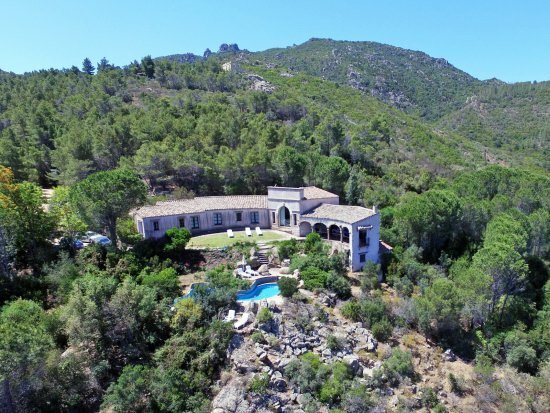 A Villa surrounded by evergreen maquis and a 10-hectare pine forest. Built as a manor house, with regional and antique materials, it offers a fantastic view of the sea. 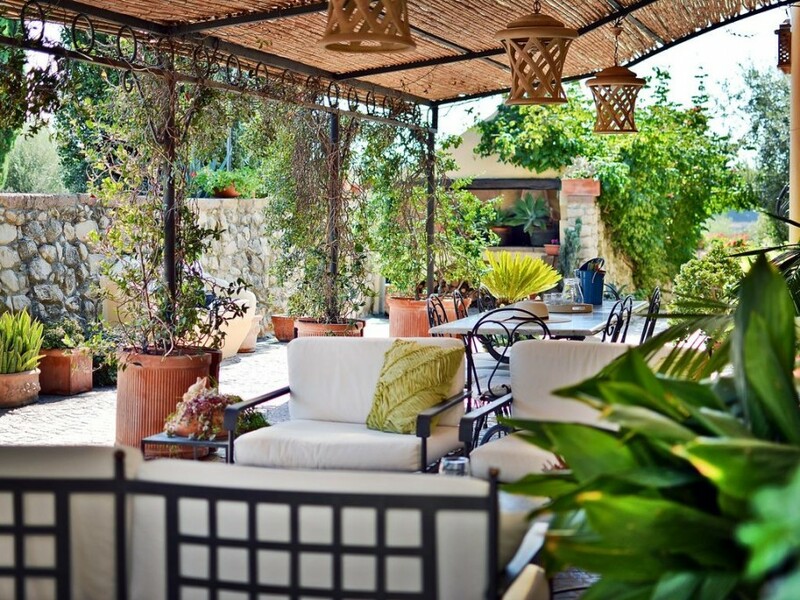 Because of its spacious capacity, generous terraces and bountiful open seating are available. 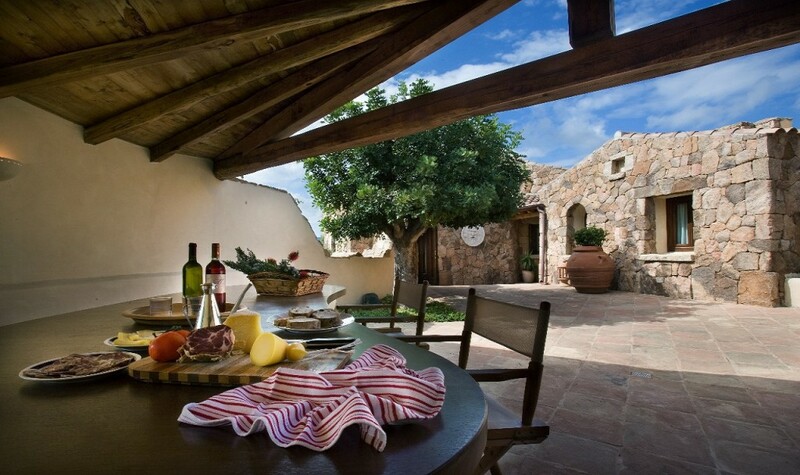 A covered terrace and a beautiful private pool, nestled among rocks are available exclusively for the guests of the villa. 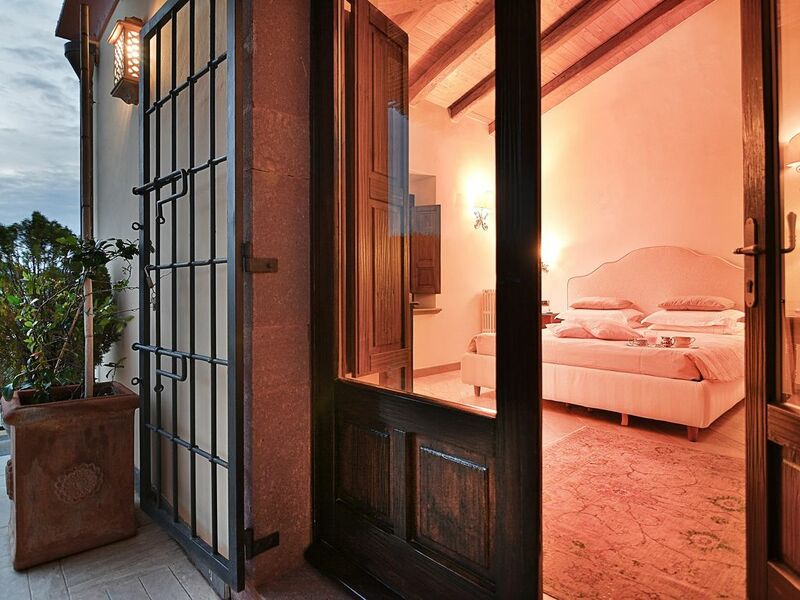 An exclusive location with five bedrooms, four bathrooms and a living room with a traditional Sardinian fireplace. 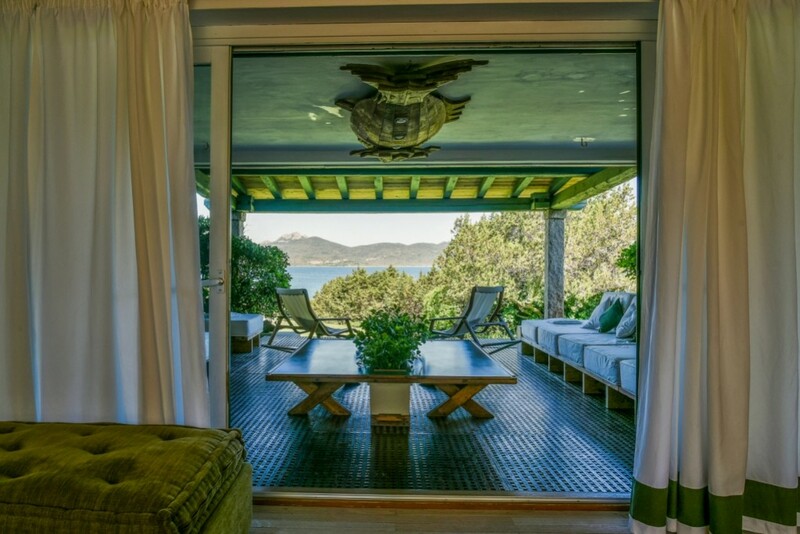 The high glazed living space, with its antique Sardinian furniture, offers a magnificent view of the natural surroundings. 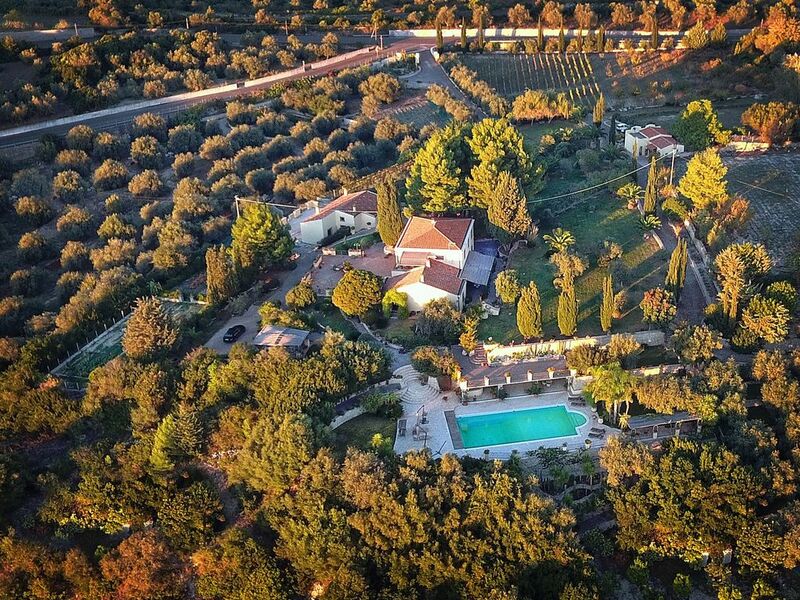 An amazing property surrounded by 12 hectares of land, among which vineyards, olive groves, fruit trees and different types of Mediterranean plants. 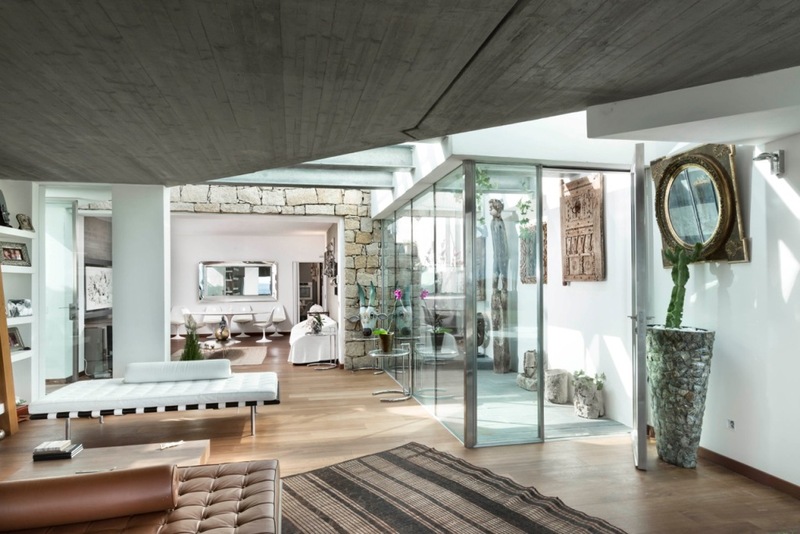 The main house is about 500 square meters, spread over three levels. 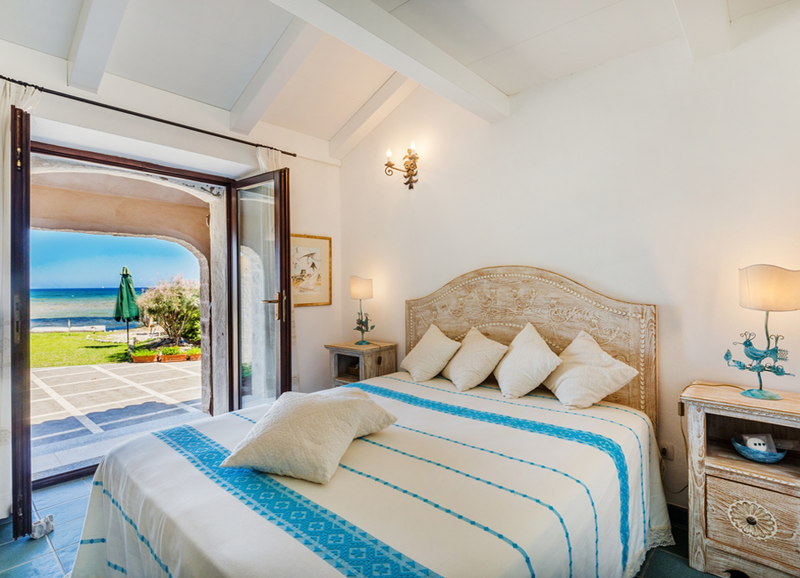 On the ground floor an heated pool, on the first floor an equipped kitchen, the living room and two elegant lounges, on the second floor the sleeping area with 4 bedrooms. 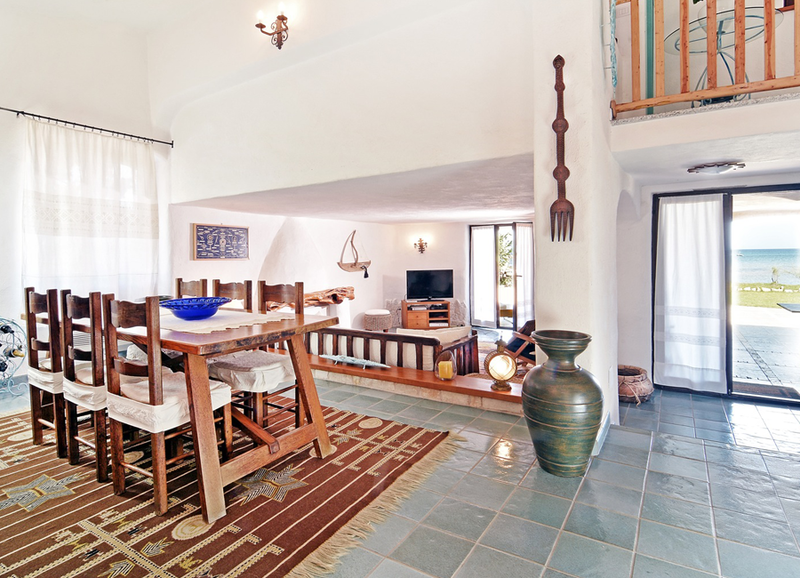 The property also boosts a Dependance with 2 double bedrooms, kitchenette, mezzanine, and bathroom. 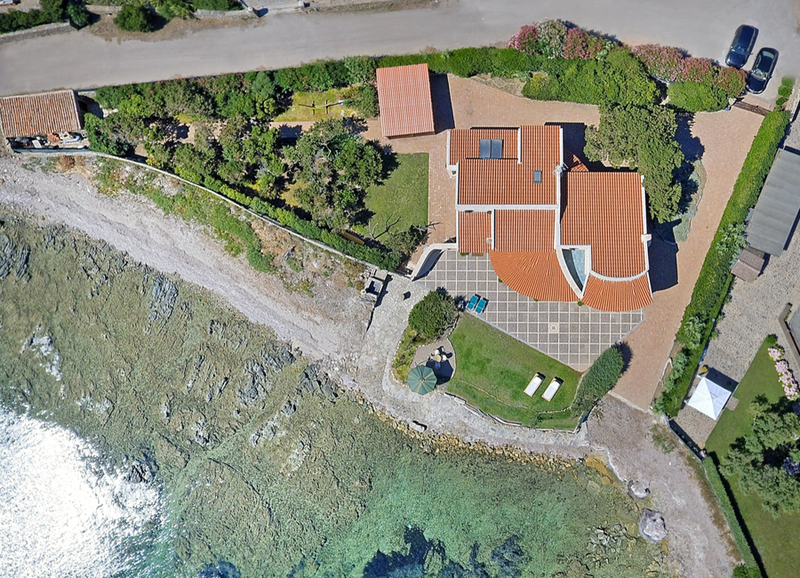 Many spaces outside including an outdoor patio with a table for lunch and dinner.The property features a wonderful outdoor swimming pool and a large living room with sound system.This location is just a few km from the beach and a few minutes drive from a beautiful medieval town. 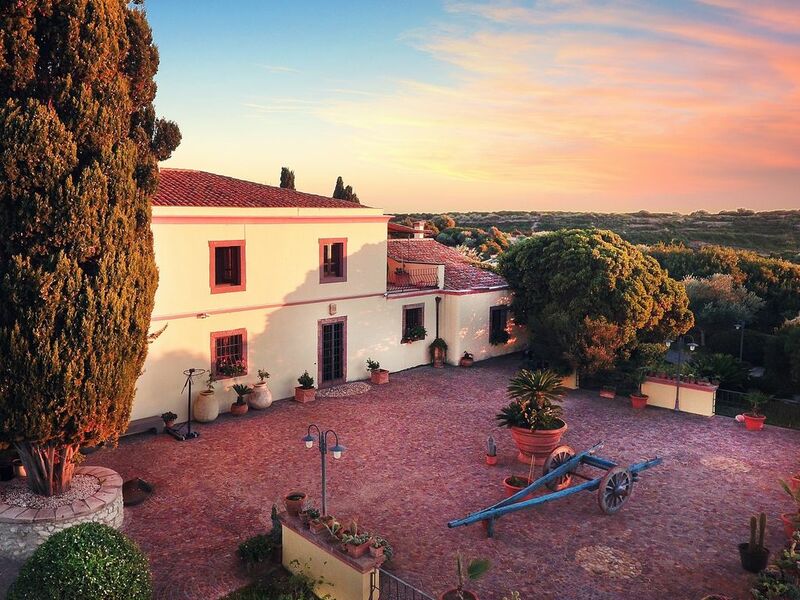 In a very quiet and beautiful area, the property also produces an excellent wine and superb olive oil, which guests can taste. The building consists of four blocks, joined by covered walkway, which converge toward the centre of the structure where there is a practical inner patio, which is useful on windy days. Old-style details blend perfectly with the contemporary renovation. 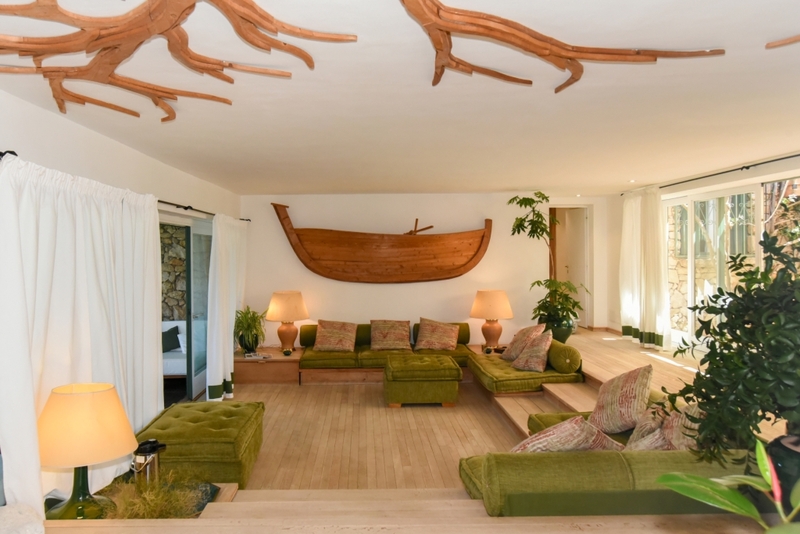 Today the villa, with refined Sardinian furniture, is an hospitality example vaguely retro, with a cultural-fashionable spirit that makes it unique in the whole area. The sleeping area has four double or twin bedded Suites, with cabin closet and private bathroom. Refined, comfortable rooms with all amenities, facing an interior covered patio, each room has a private exit to the garden. 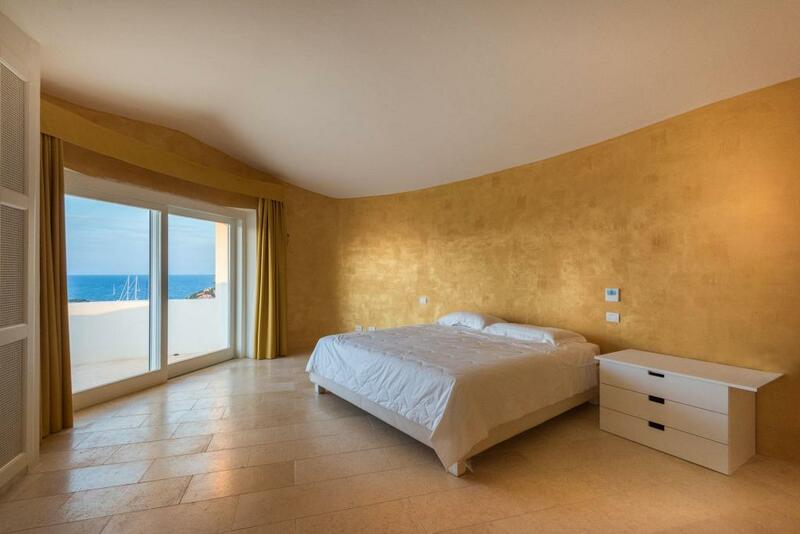 On the first floor of the house is set the , the 5th bedroom of the villa: the new Master Suite with private bathroom enjoying a superb view of the pool, the garden, and the entire Gulf. Through the entrance gate you access a real oasis: a mediterranean garden of 6.000 sqm where to enjoy the magnificent panoramic view. 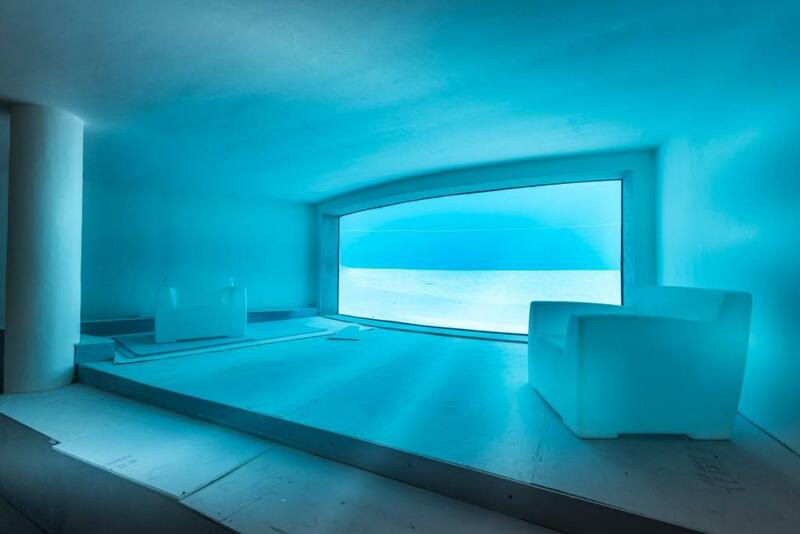 All around, the crystal blu sea of the most beautiful gulf of the Mediterranean. 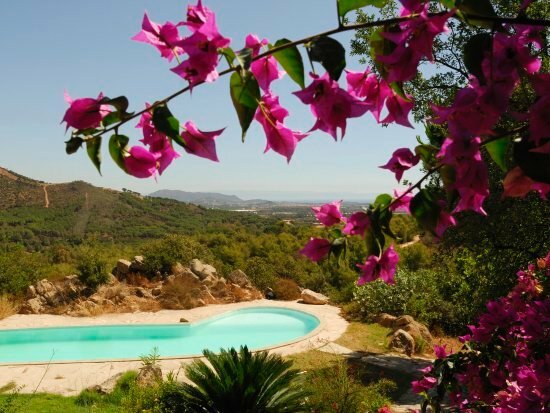 This is a newly refurbished villa located on the southern west coast of Sardinia, 3not far from Cagliari and the beautiful beaches of Chia. 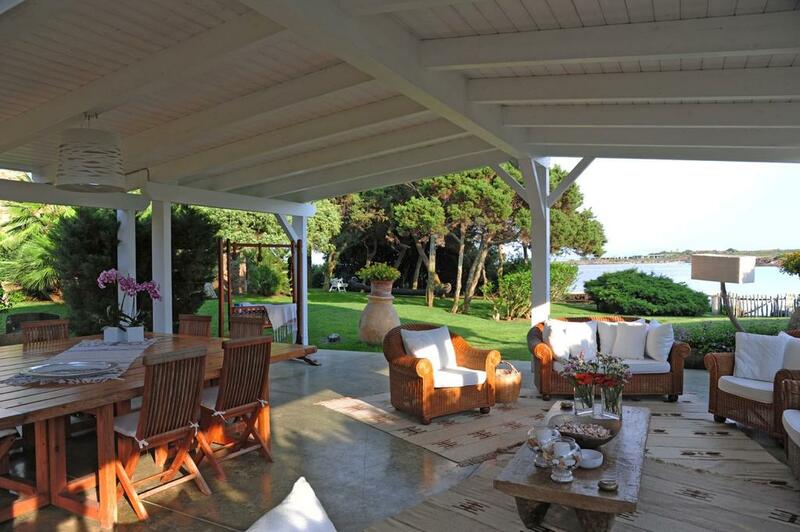 What makes this villa an exceptional property, apart its location, is the garden surrounding it and its private beach. The garden measuring just less than 2 acres features beautiful palm trees, colorful boungavilleas, cactus plants, century-old Mediterranean pine trees and a manicured lawn gently sloping down to the private sandy beach is perfect for garden ceremonies and outdoor receptions. 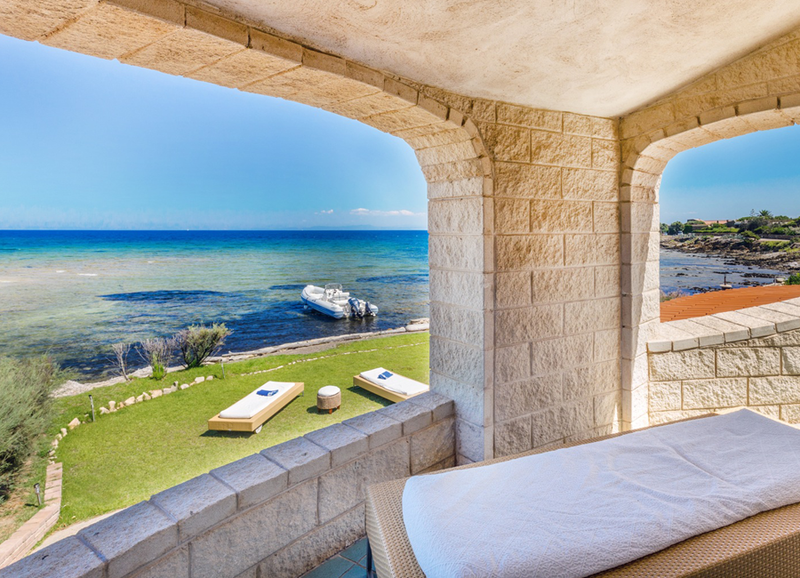 Above the changing room is a panoramic terrace overlooking the sea ideal for aperitifs by the sea. 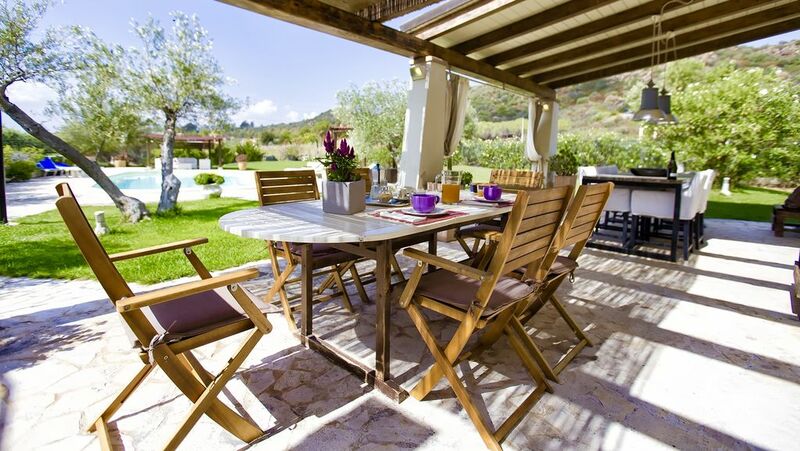 The villa also features a large shaded veranda, which can be used for al fresco dining. 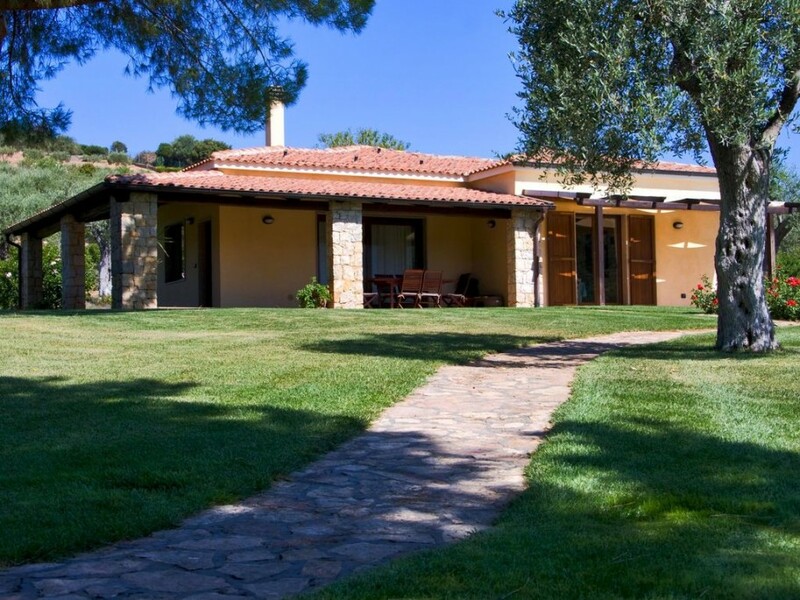 The villas is located in a private estate with other villas. 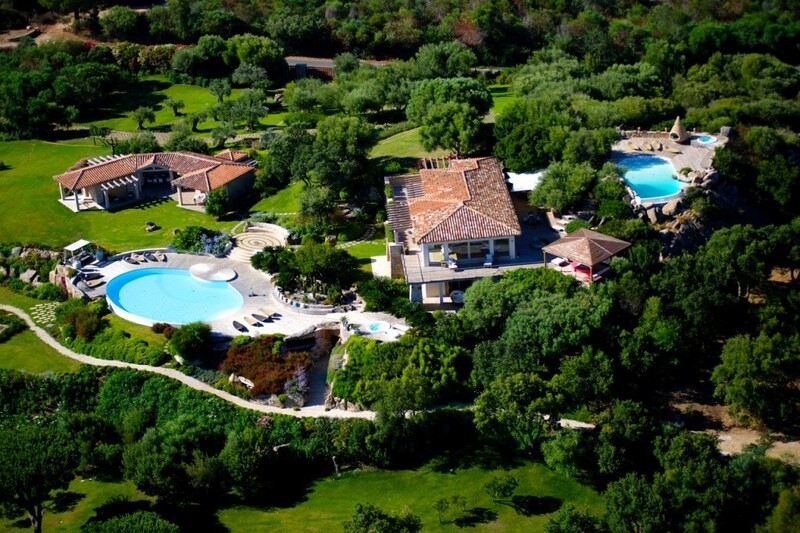 Access is through a gate available only to owners of villas on the estate and their guests. 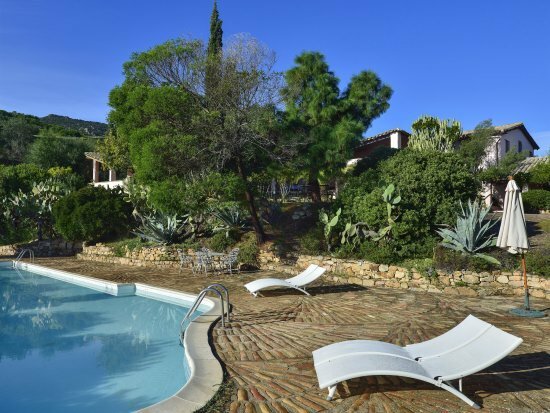 A typical Sardinian cottage with a private pool, this gorgeous estate villa lies in a hilly landscape, surrounded by pine forests and evergreen Mediterranean vegetation. Wild strawberries, oak trees and lavender create a fragrant atmosphere that is easy to enjoy. 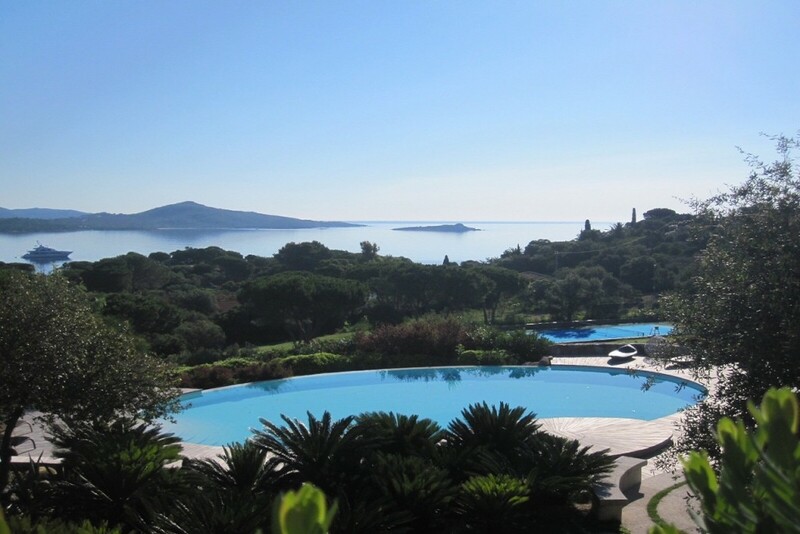 A breath-taking view awaits guests from the private pool which overlooks the garden and the terrace. 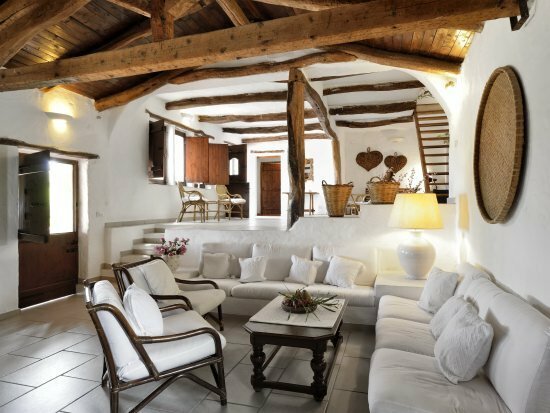 The obvious care and attention of the Sardinian designer are visible in the use of authentic materials in the house’s construction. 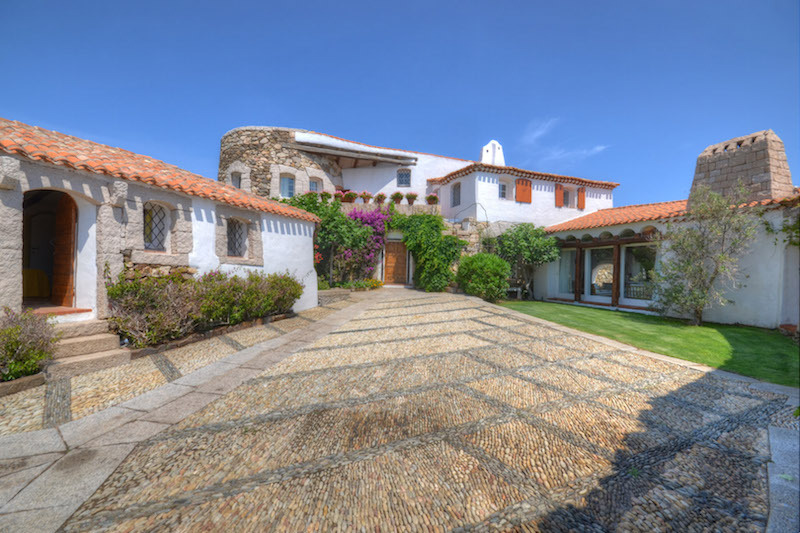 The property consists of two villas which belong together, but can be enjoyed perfectly as separate residences. Each half of the house has its own entry and completely separate pool area. 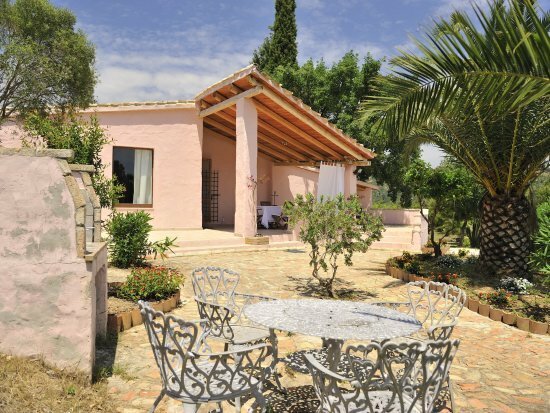 The first villa offers five bedrooms. The two floors offer space for eight to ten visitors with three double beds and additional single beds. 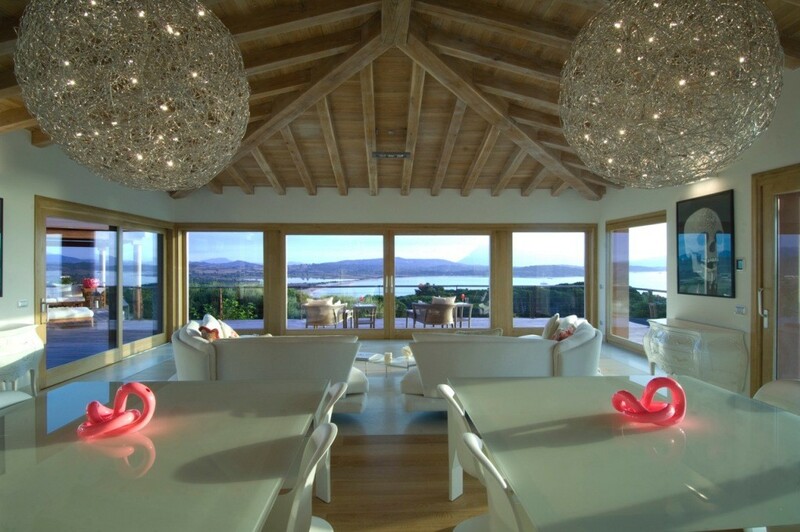 The walls of the large living area have visible wooden beams, creating a pleasant atmosphere in the open space. 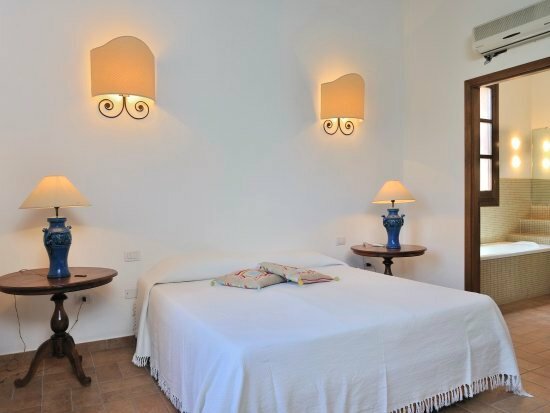 The second villa offers two double rooms and one further bedroom with two single beds offering space for six person. The open living and dining room . 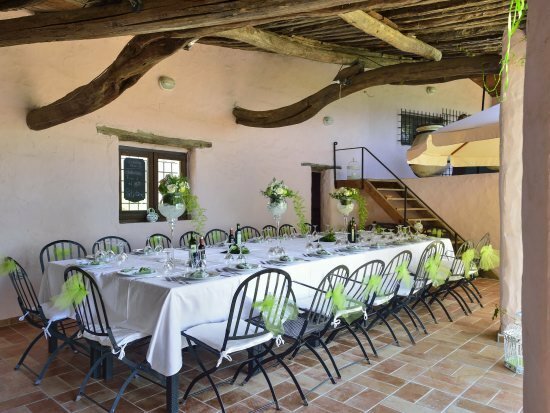 A covered terrace with a large table for all the guests, a forecourt with pomegranate, lemon and apricot trees, and a pool area complete with lounge chairs. 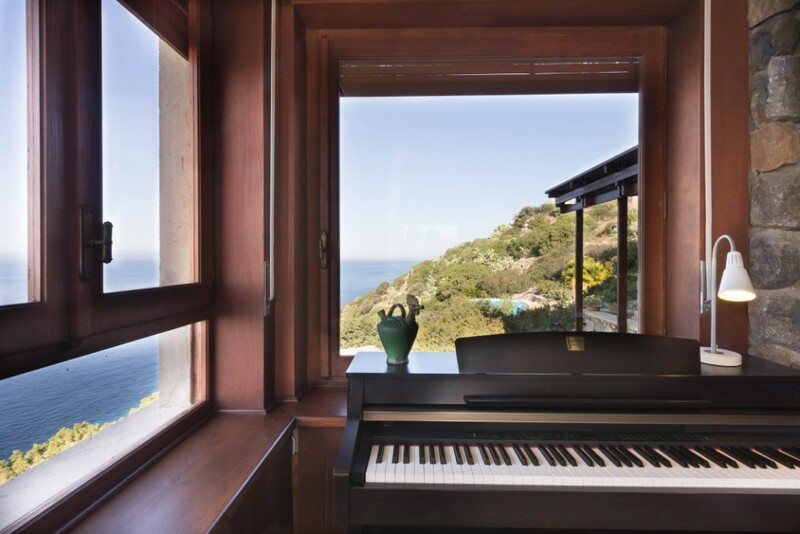 All of these enjoyments are only further highlighted by a gorgeous view of the sea. The serenity of this private property offers an unparalleled opportunity to relax and enjoy the outdoor natural surroundings. 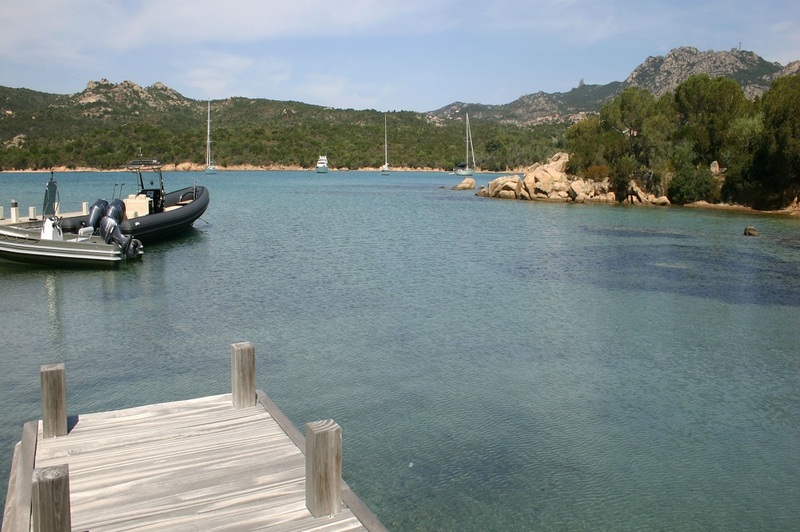 An exclusive property, dominating the heart of the Costa Smeralda. 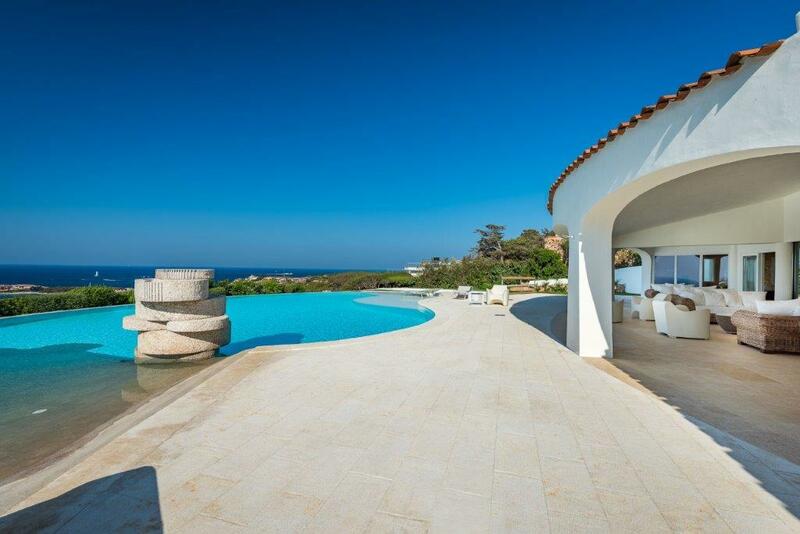 The prestigious design villa has far-reaching sea views, large indoor and outdoor spaces, an infinity swimming pool overlooking the bay, and a fully equipped spa. The house has been built with cutting edge techniques and materials, and is completely insulated and soundproofed. 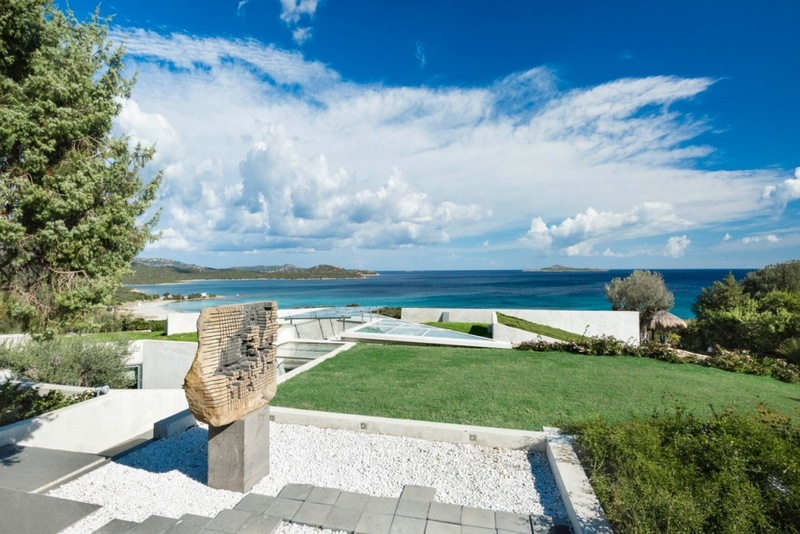 The panoramic garden is 2000 sqm and dominates the sandy bay from the large sitting room and terrace. 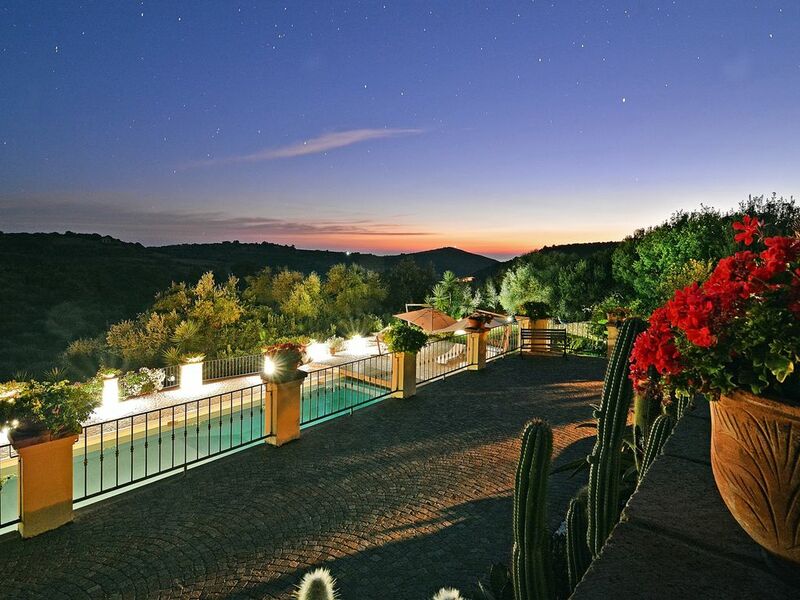 Guests can decide whether to enjoy the peaceful tranquillity of the villa with its spectacular views and luxurious atmosphere, or join the vibrant life of one of the world’s most sought after destinations. 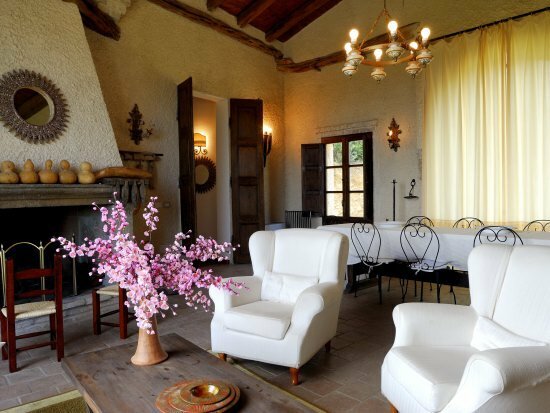 The Main Level of the villa, has a 200 sqm sitting room and dining area, with ceiling to floor French doors opening onto a large terrace with infinity pool. 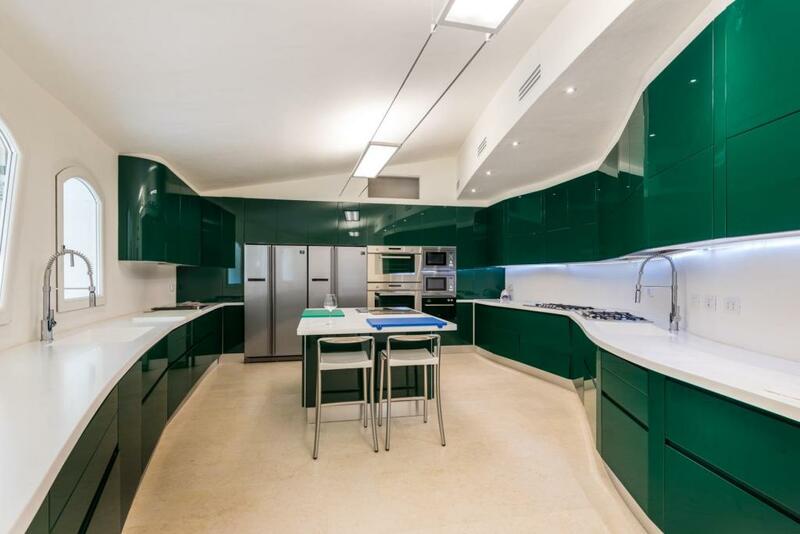 There is a large, design kitchen with a 40 sqm pantry, and two double suites with en-suite bathrooms. 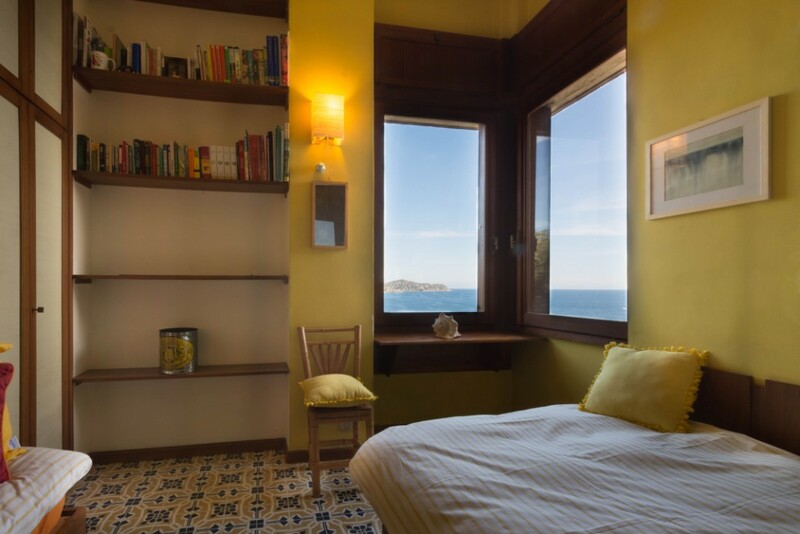 On the other level, 4 double bedrooms with en-suite bathrooms a Spa with indoor pool, Turkish bath, Sauna, Massage area and bathroom.On the second floor the master bedroom with en-suite bathroom, large panoramic terrace with Jacuzzi. 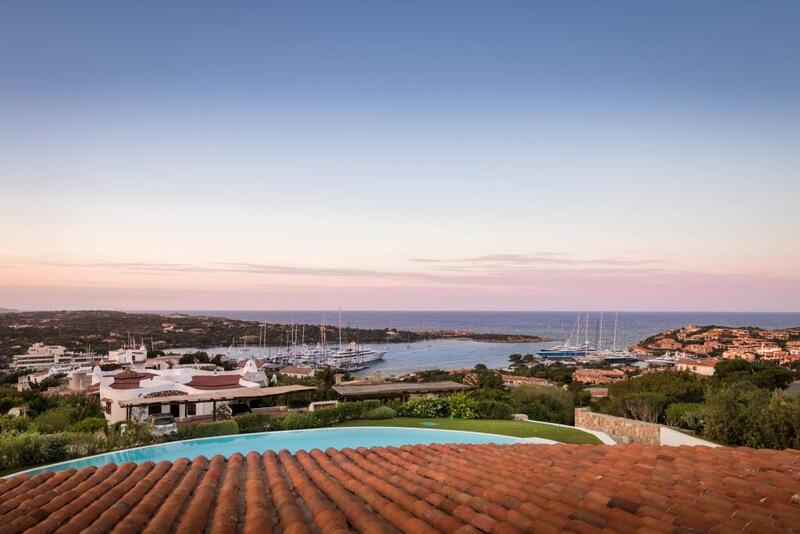 This is a spacious and prestigious property a few minutes from Porto Rotondo with large grounds bordering the sea. 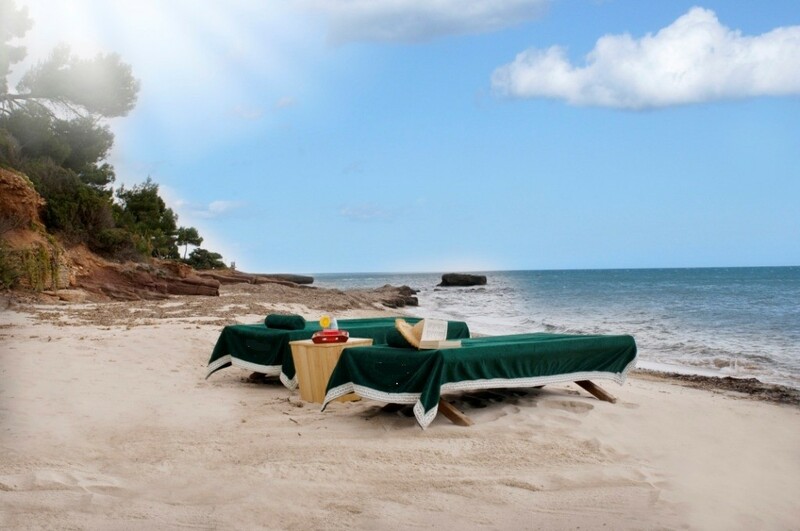 From the grounds there is access to one of the most beautiful beaches of the area: situated in a cove shaped like a half moon, this beach faces north west and has a length of about 200 metres. The property has its own floating dock. 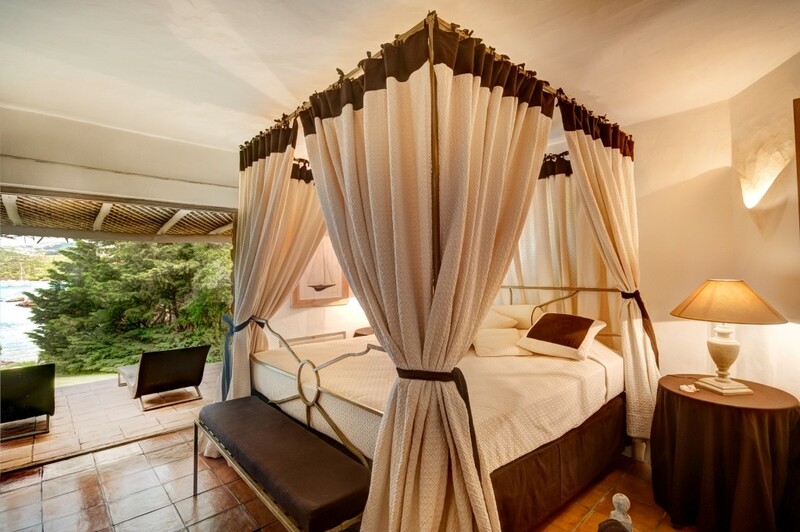 The accommodation is mostly on one level with 6 rooms opening onto the large verandas with sitting and dining areas, and hammocks, overlooking the grounds and sea. 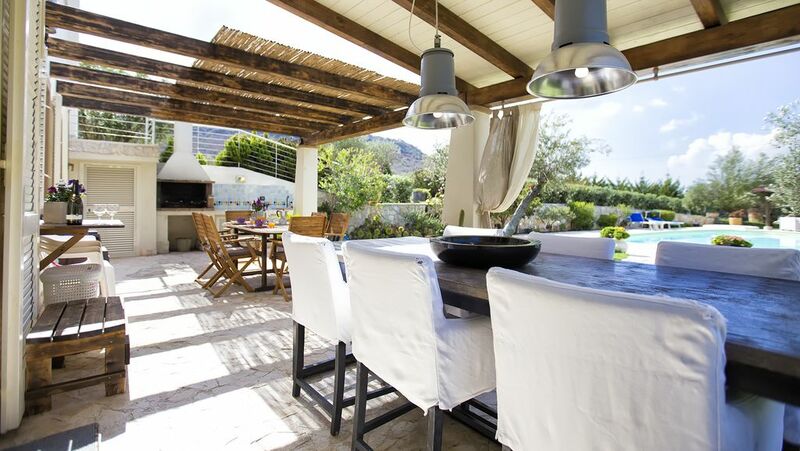 There are many special features including a large internal courtyard for eating and relaxing, and a large protected patio with the swimming pool and pool house. 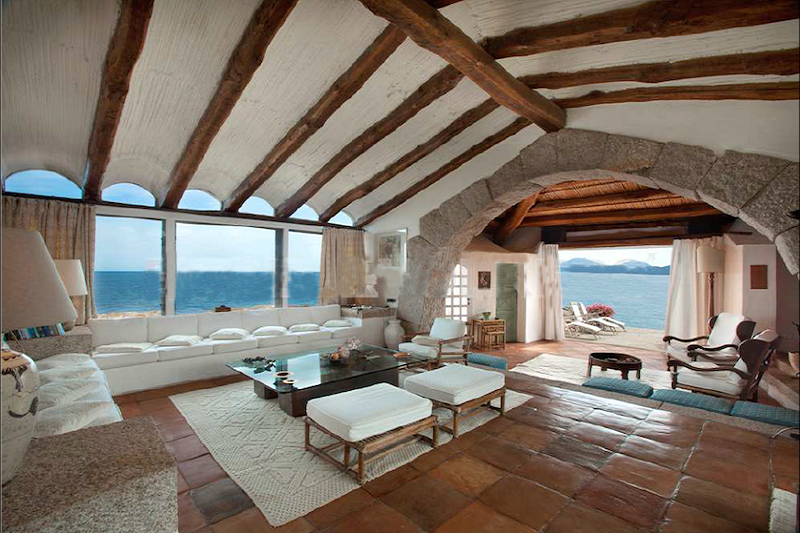 This historic property is one of the finest in Porto Rotondo. 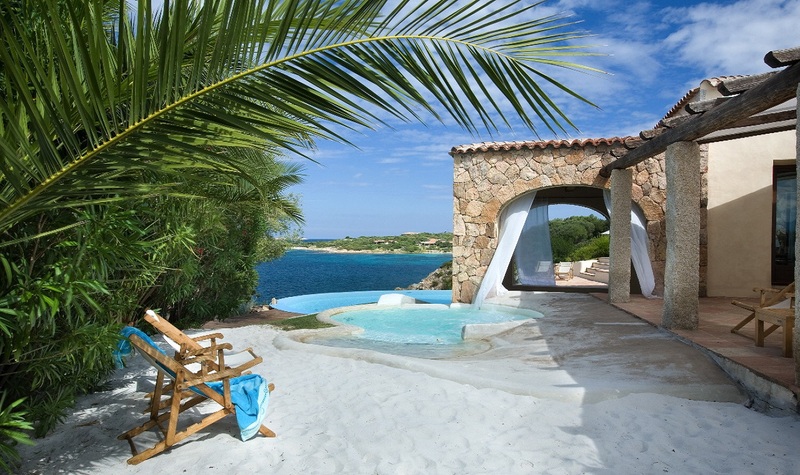 Surrounded by water on three sides, the villa is just 30 metres from a white sandy beach. 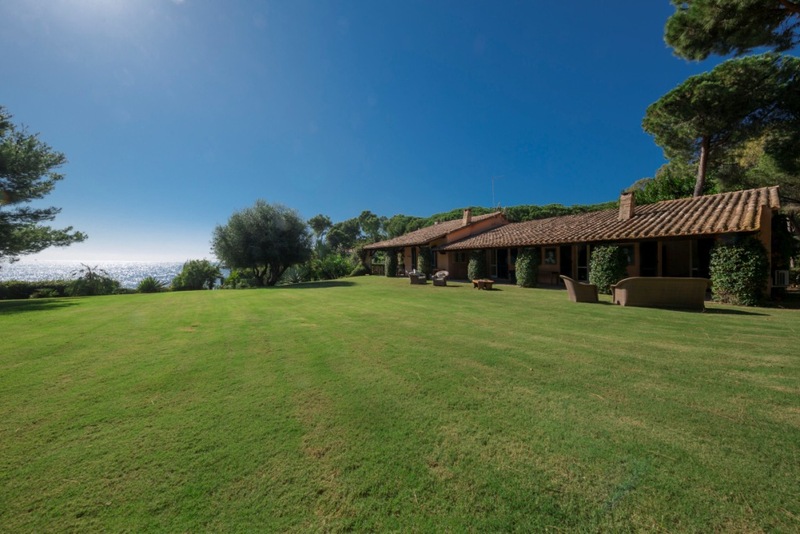 There are spectacular sea views from the house and grounds of the villa, a total of 2.4 hectares. 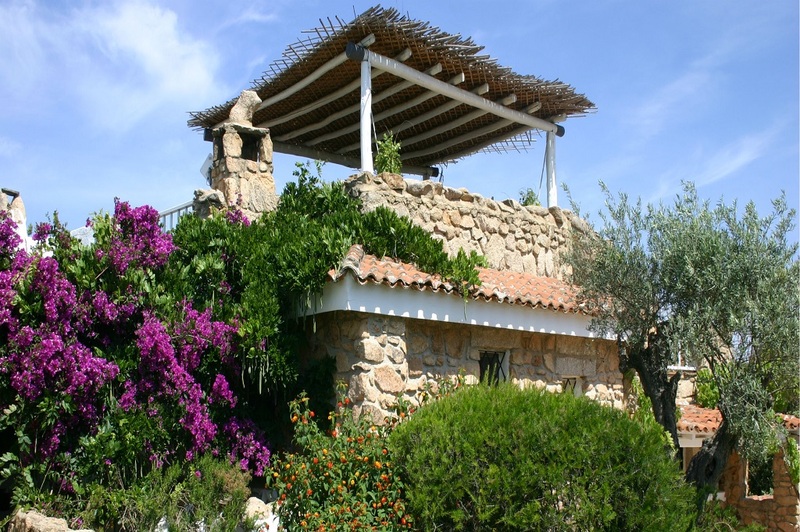 The celebrated architect Savin Couelle designed the stone tower, a tribute to ancient tradition of Sardinian civilisation. 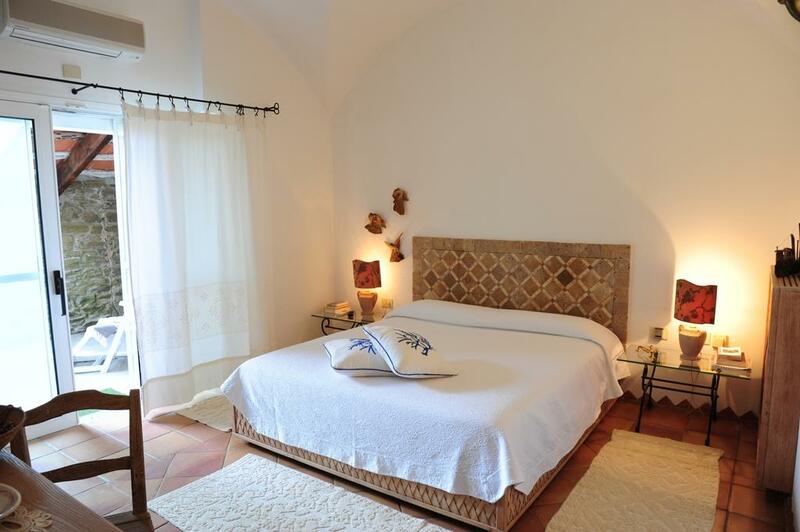 With cotto floors and maiolica decorations, the villa has an elegant, timeless atmosphere. 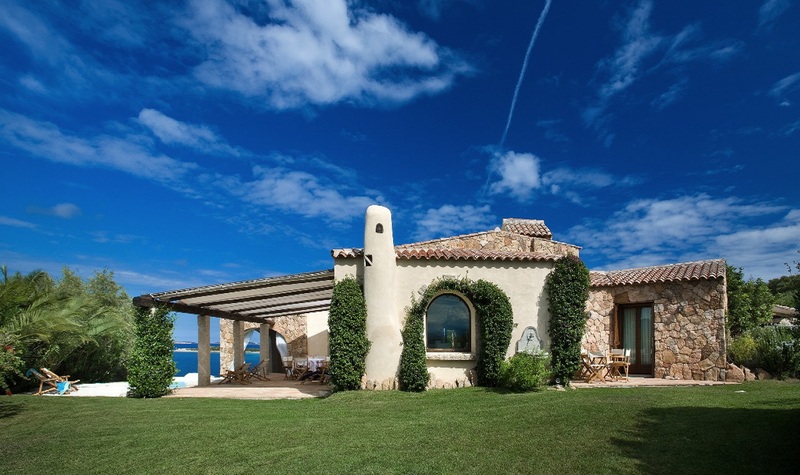 Every window overlooks the sea and gardens, in bright spacious rooms Vaulted ceilings with juniper beams harmoniously blend with granite, cane and terracotta, typical of Sardinian luxury beach houses. On the ground floor, there is a spacious living room with fireplace and dining area, with panoramic sea views, a fully equipped kitchen, cloakroom, a double bedroom and en-suite bathroom. 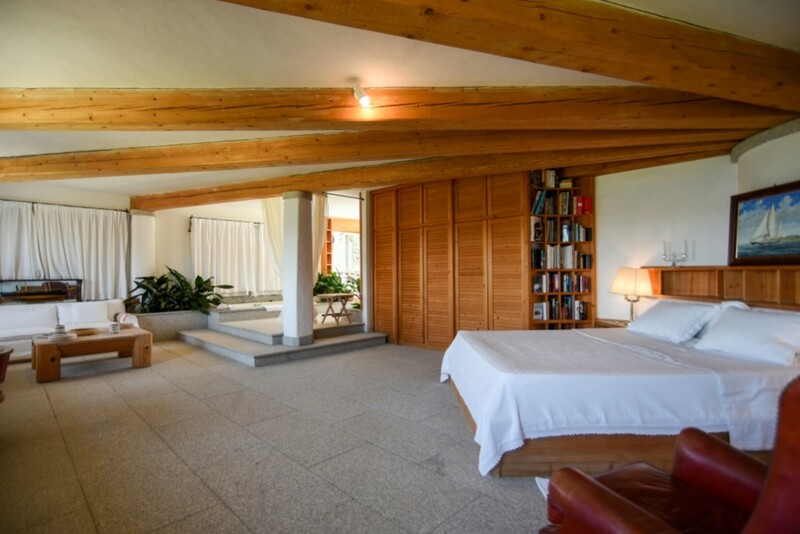 On the first floor, there is a master bedroom suite with sitting area, a fireplace, private terrace and en-suite bathroom, a study, a second double bedroom and a twin room, both with en-suite bathrooms. There is a guest suite with a private entrance, on the ground floor, in close proximity to the main villa. 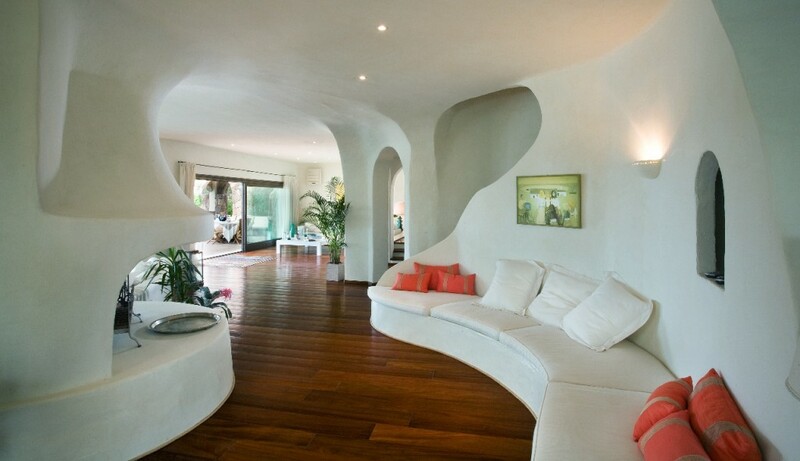 It has a double bedroom, en-suite bathroom and sitting area. 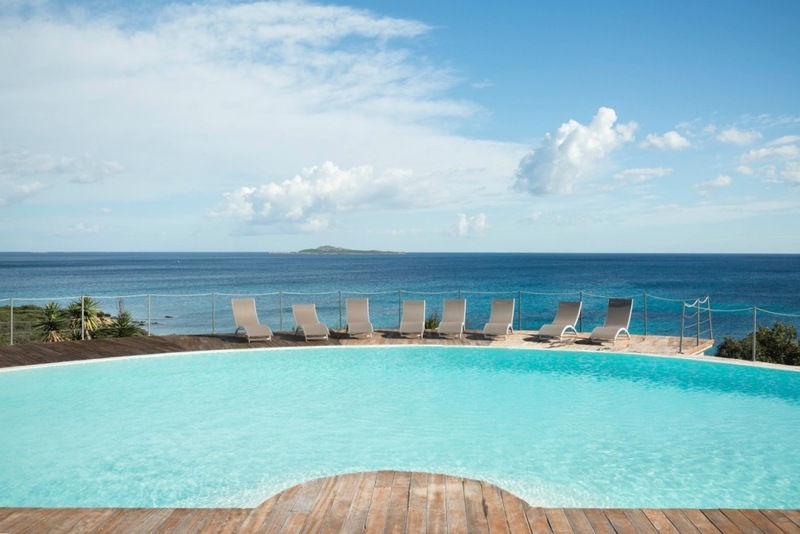 The swimming pool and pool house are on the water’s edge, with an ample choice of sunbathing and relaxation areas. A path leads through the grounds, past a grapevine belonging to the property, to the beach. Guests can choose whether to stay in the garden, with palm umbrellas and loungers, or go through the gate directly onto the beach. 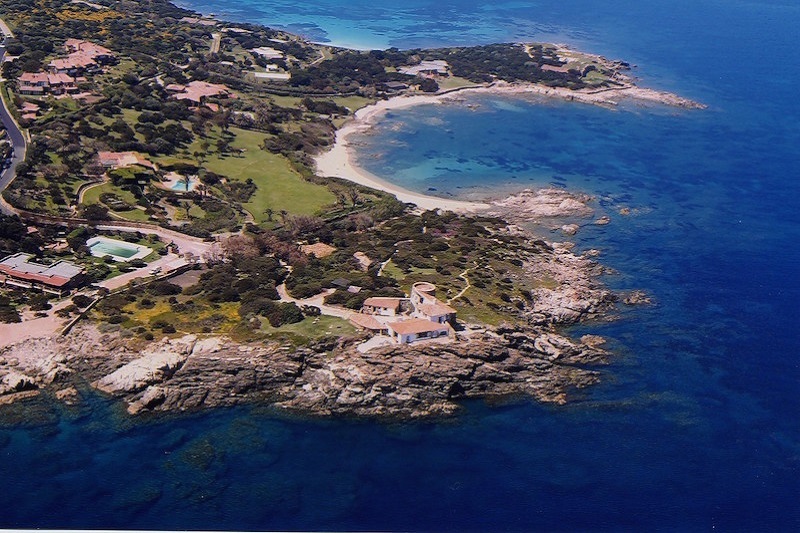 This is the most exclusive property on the north-east coast of the Island. 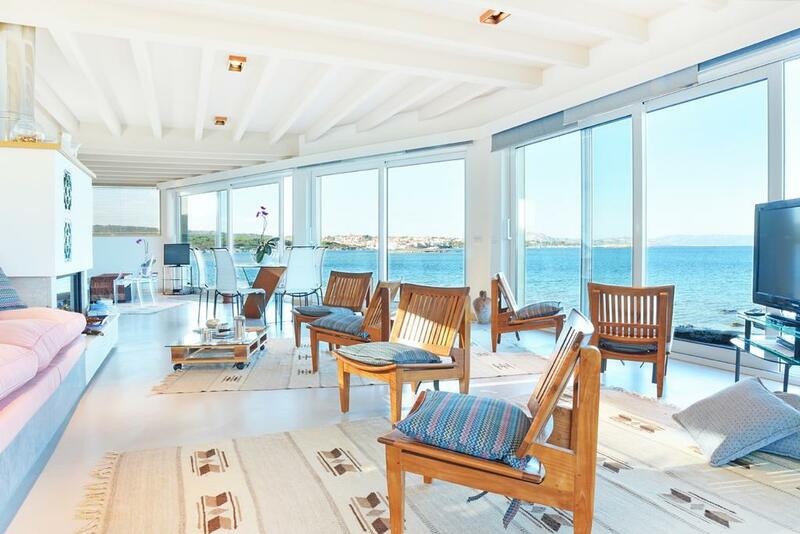 With extensive sea views, 7 hectares of private grounds and its own Beach Club, the pied dans l’eau property with over a thousand square metres of living space, luxurious indoor areas this villa could not be more extraordinary. 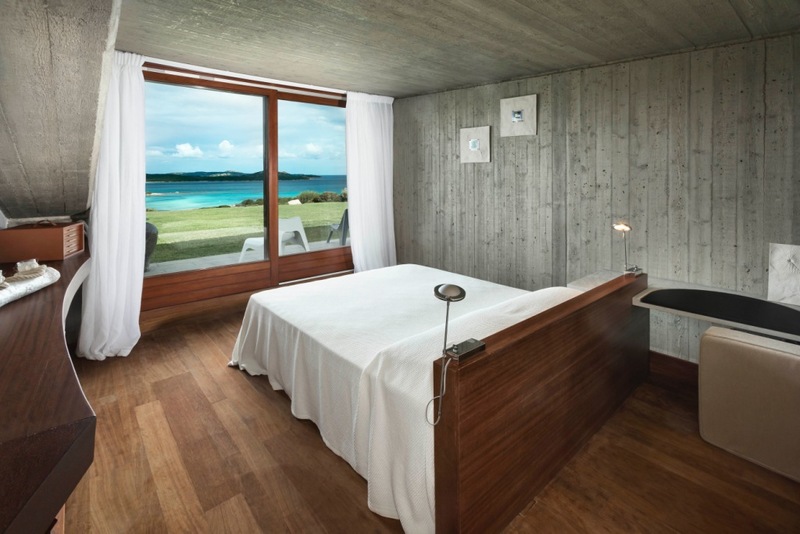 Smooth woods and a glass-faced, sea view living room, with designer pieces and sculptures complimenting the natural beauty of the location, all senses are gratified at the highest level. The property has a tennis court, three swimming pools, a pool house, three jacuzzis, hammam for 10 guests, a Technogym gymnasium and spa, with Turkish bath and chromotherapy, tropical cascade and Scottish showers. 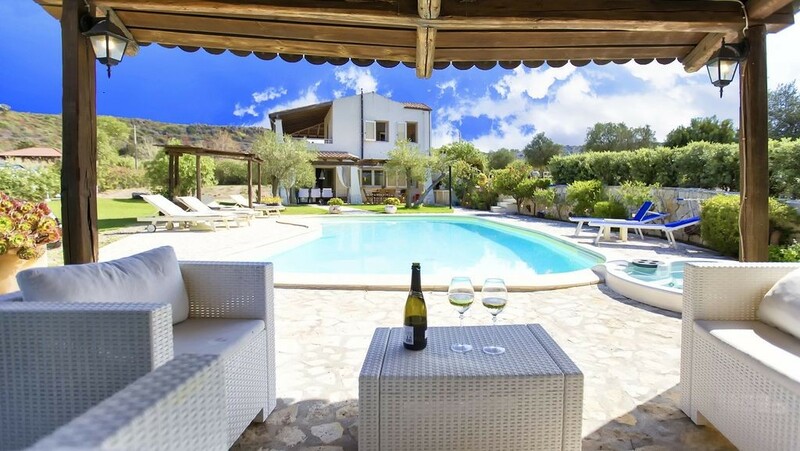 The prestigious villa has four double bedrooms with en-suite bathrooms on the lower floor of the main villa, two double bedrooms with en-suite bathrooms in a suite in the grounds next to the villa, and a further double bedroom below the main villa. Two areas in the ground are for dining al fresco. 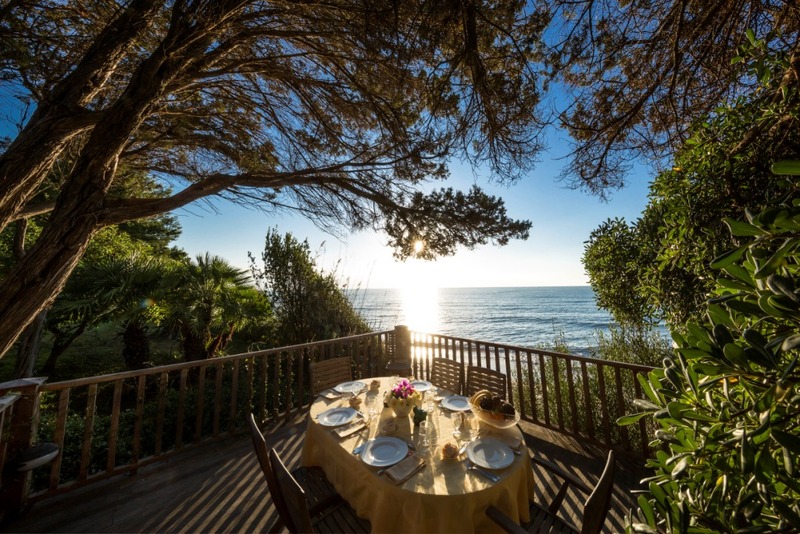 In the covered barbecue grill area, a beautiful juniper table seating 16 guests is set up with a bar, grill, nearby kitchen and stunning sea views. 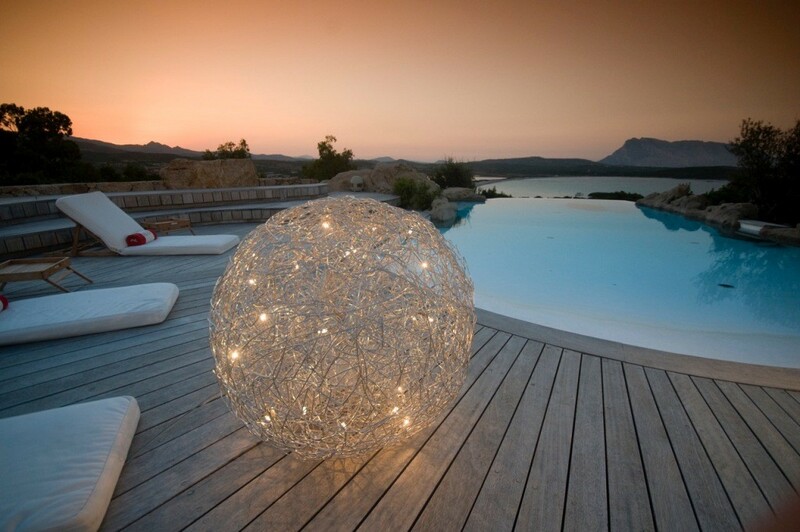 Lighting in the grounds and pools make nights here a dream. 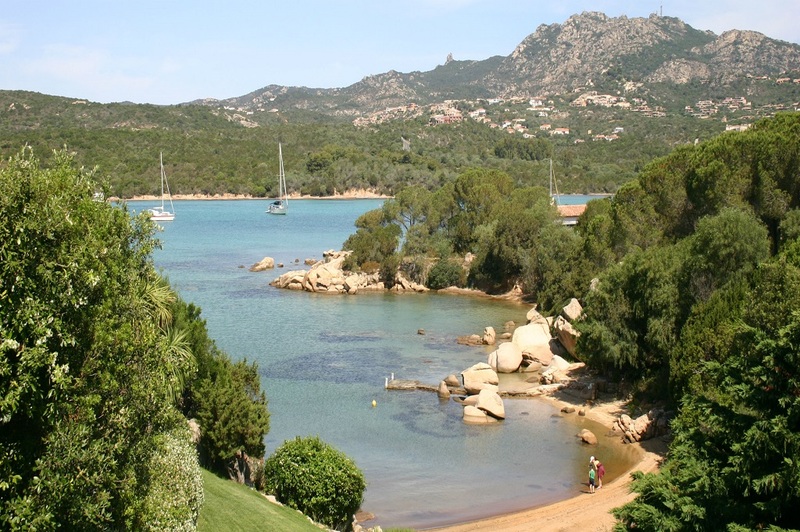 A panoramic path in the grounds leads down to the property’s own beach, fully equipped with sun loungers and beach umbrellas. This villa is located in the heart of Porto Rotondo, close to the marina and the centre. 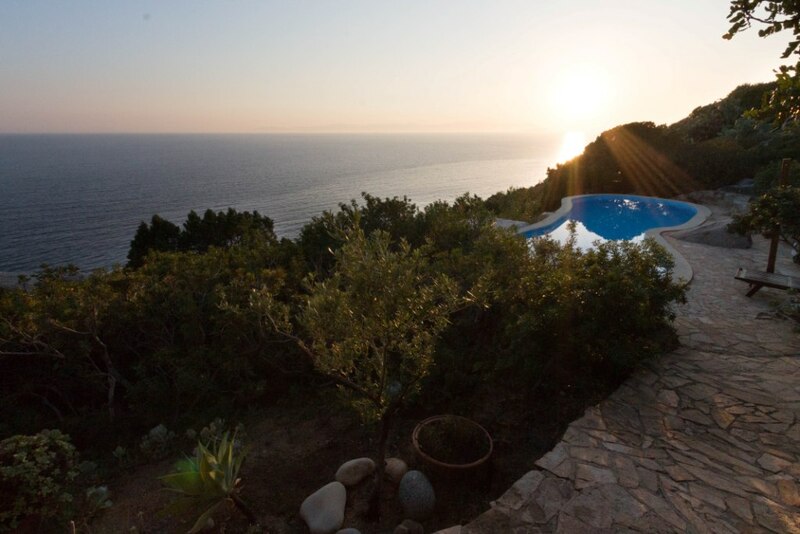 The prestigious villa of 1,100 sqm overlooks the sea and has a small private beach, with direct access from the grounds. 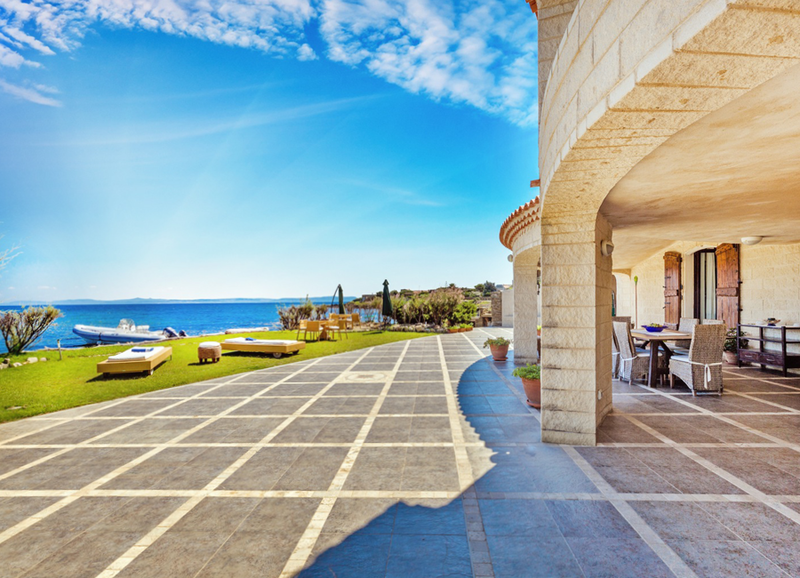 The spacious gardens of nearly 4,000 sqm have far-reaching sea views, and many chill out areas for relaxing. 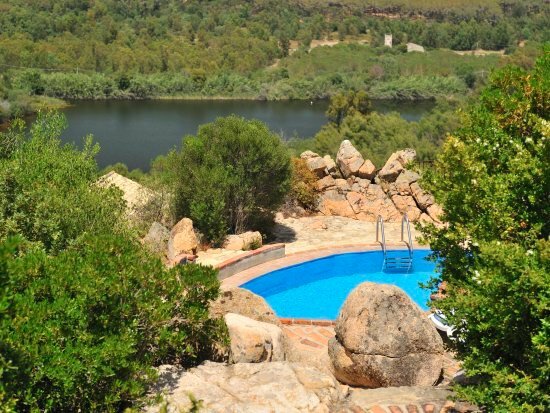 There are two swimming pools, including a jacuzzi. 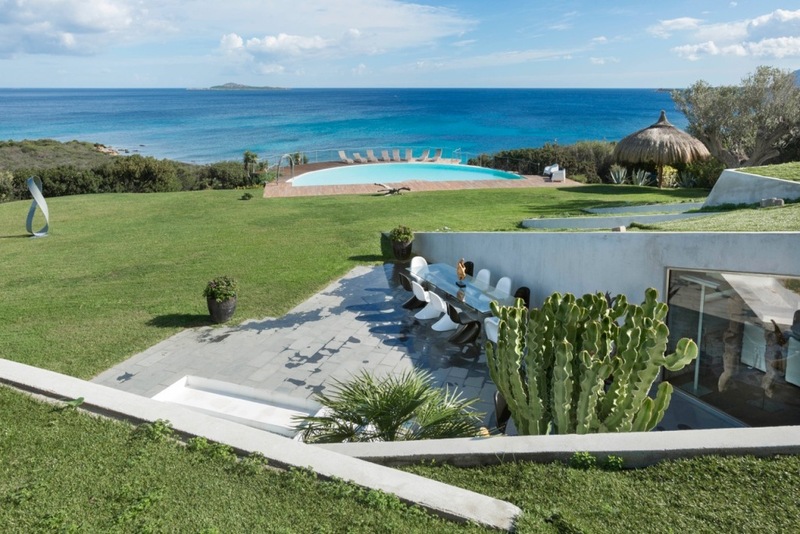 This location, with its 6 bedrooms, has the elegance of an exclusive beachfront villa with the simplicity and high quality materials that characterise Luxury in Sardinia. 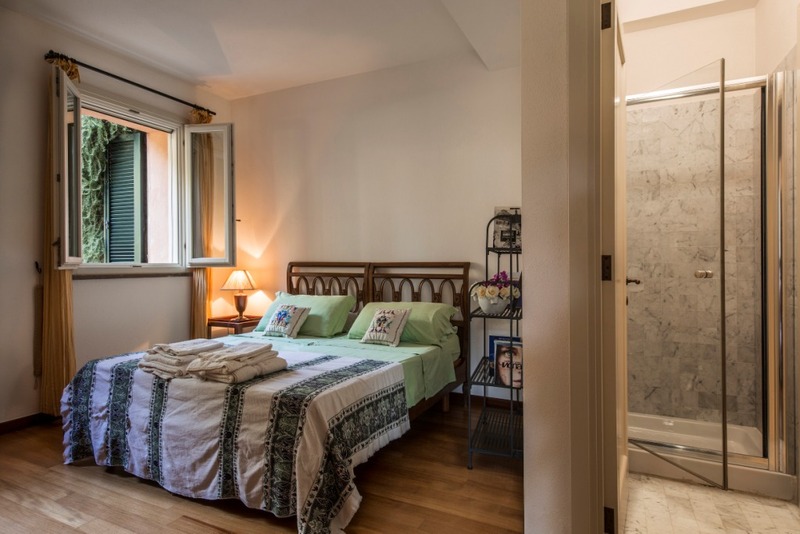 It is fully equipped with the latest technology, and has a lift connecting the two floors. 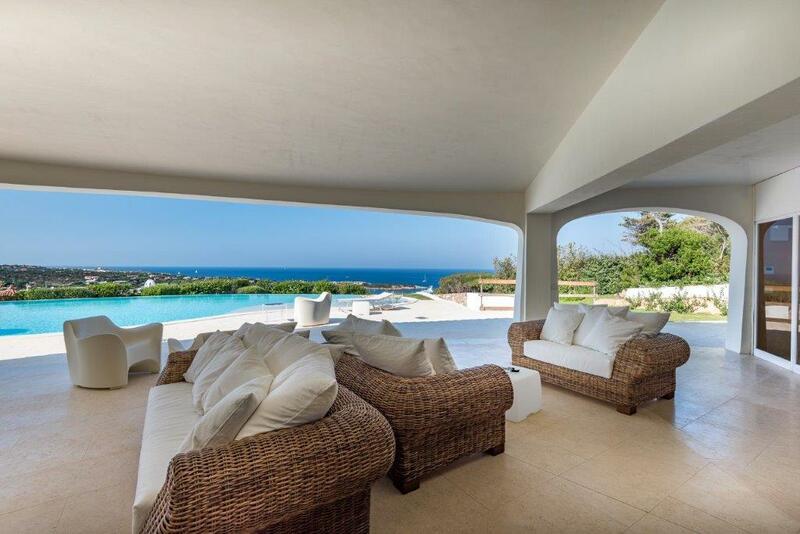 It is one of the very few properties on the island with a squash court, fully equipped gymnasium, steam room and direct access to the beach. 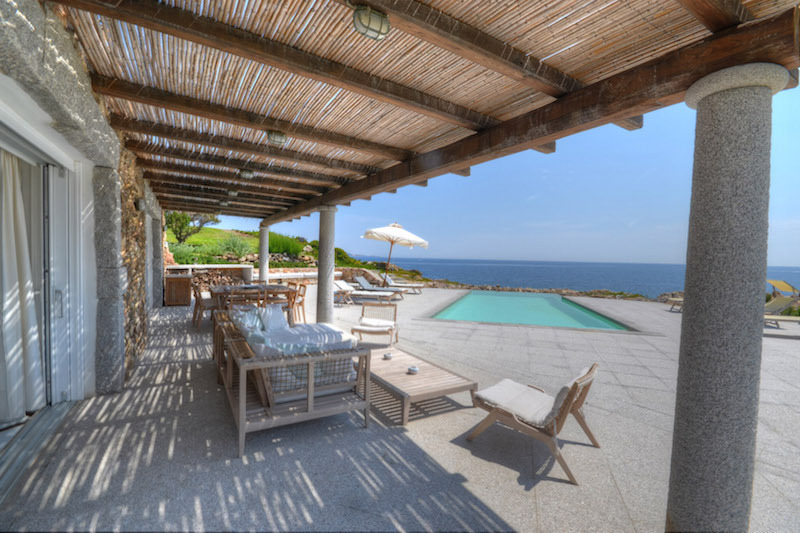 Just above a secluded sandy beach, the villa is carved into the granite rocks, with wonderful views across the Mediterranean sea. 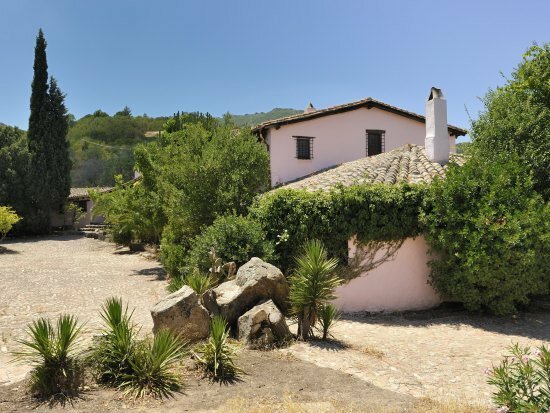 Garden filled with bougainvillea, olive trees and oleander. 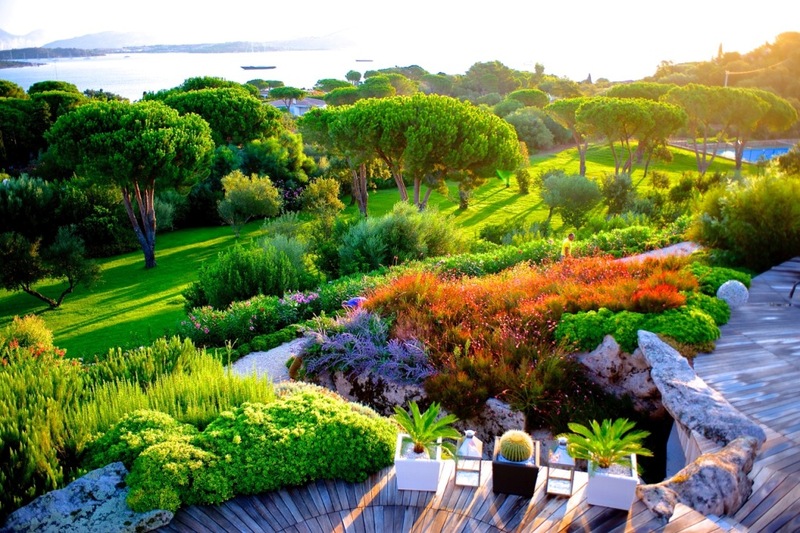 There are several terraces on different levels, with a lawn going down to the beach. Four double rooms with en-suite bathroom, a swimming pool with jacuzzi, a private access to the sea and a small boat dock, all make this a very special place for your wedding day. 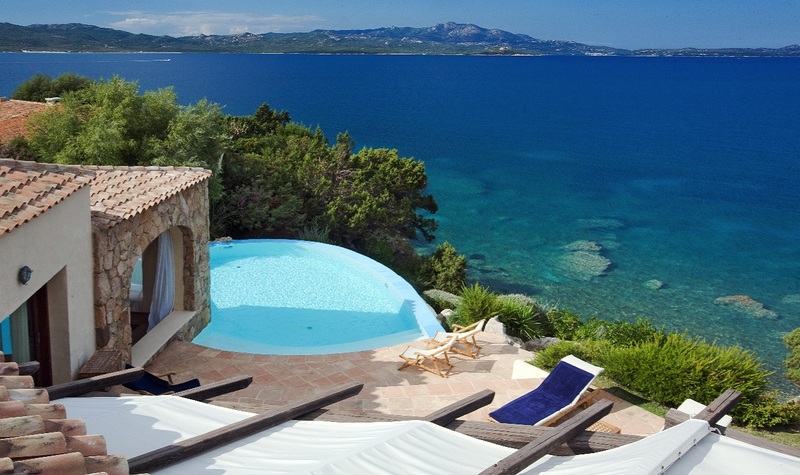 This magnificent villa lies on the North-East coast of Sardinia. 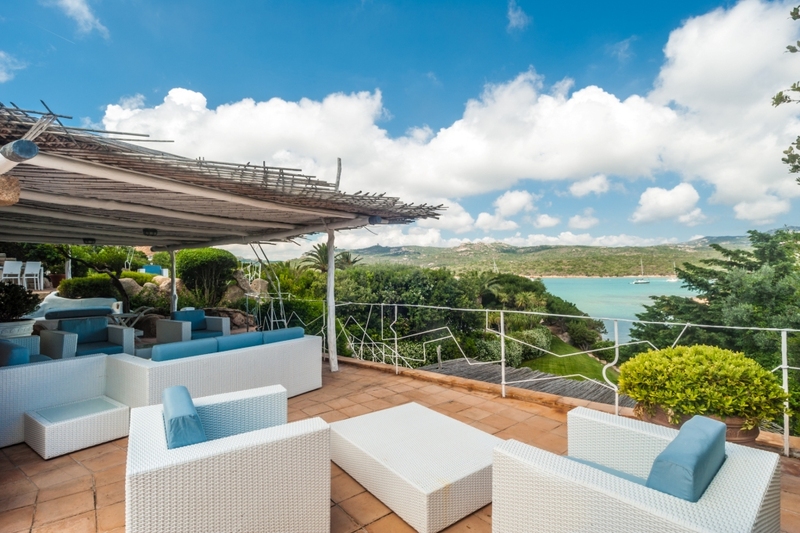 The property unfolds its outstanding and incredible position on the top of a hill from where you can enjoy a unique panoramic view of the coast below, with its most enchanting protected marine areas. 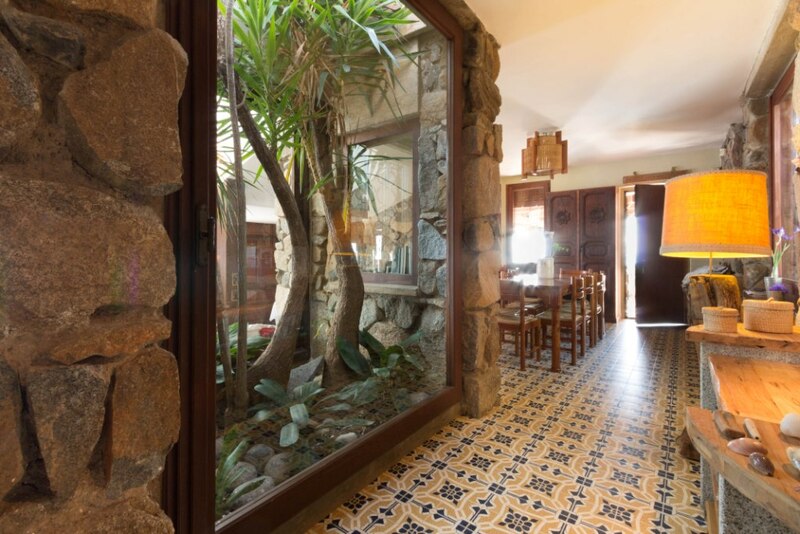 The house surface is 500 sqm and it is divided into two floors with 6 bedrooms and access to both from the garden. 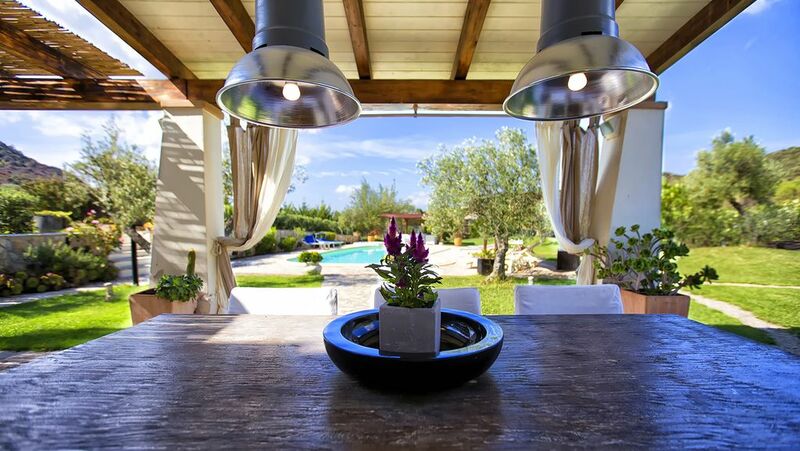 A large, well-kept garden surrounds the house, with an infinity pool and a Jacuzzi. 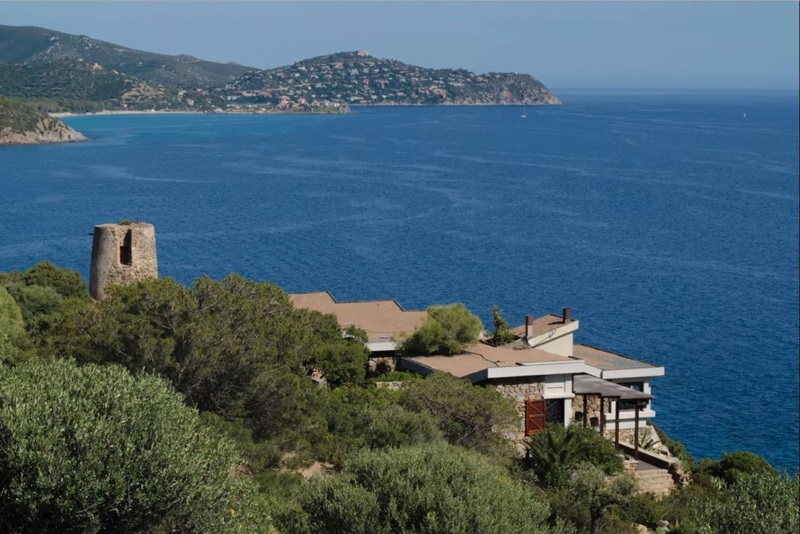 This Villa is a Maison de charme of the 60s, inspired by the work of FL Wright, in granite and concrete, overlooking the sea, over a 50m cliff with an easy and fascinating descent that leads to a private area, on the cliff below. 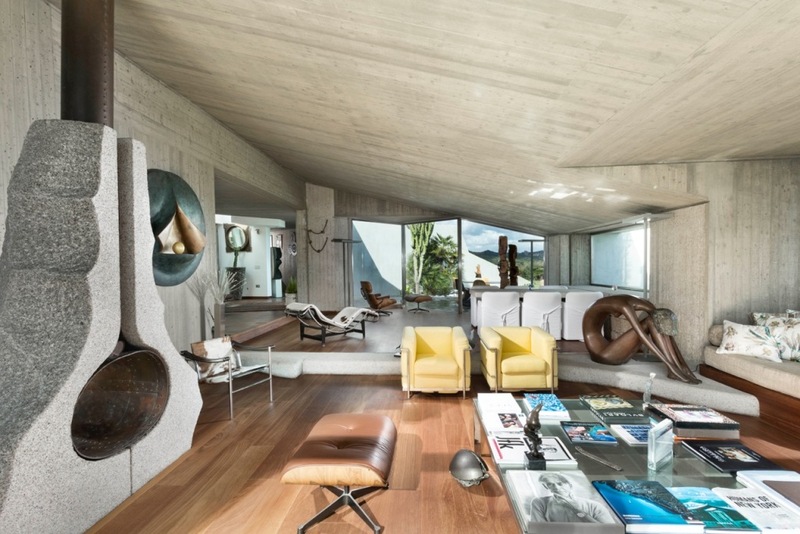 For interiors the architect was inspired by form of a boat. 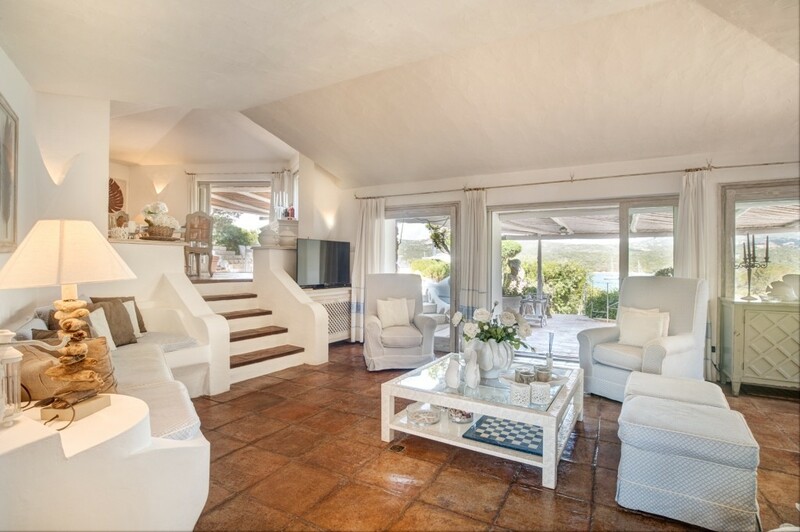 Guests will be welcomed in a spacious living room that overlooks the sea, with a 180 ° panorama and a fireplace. 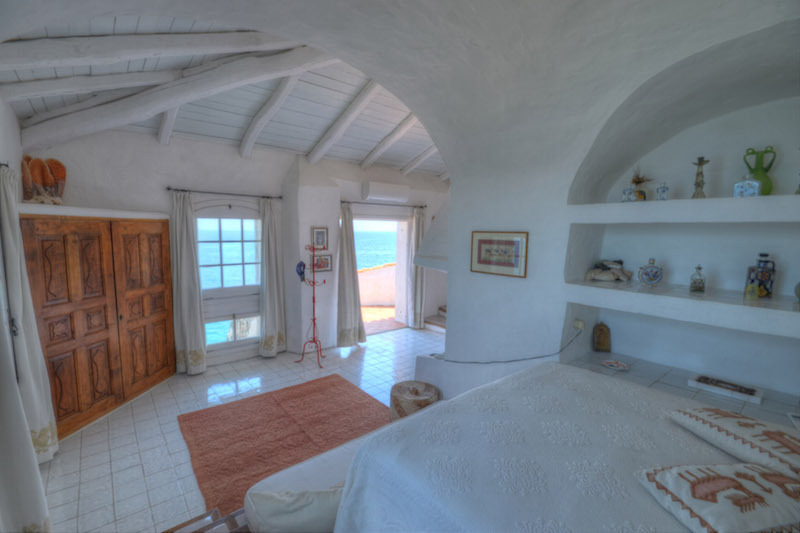 The house also has a small but well-equipped kitchen and a comfortable sleeping area very bright and with sea views. 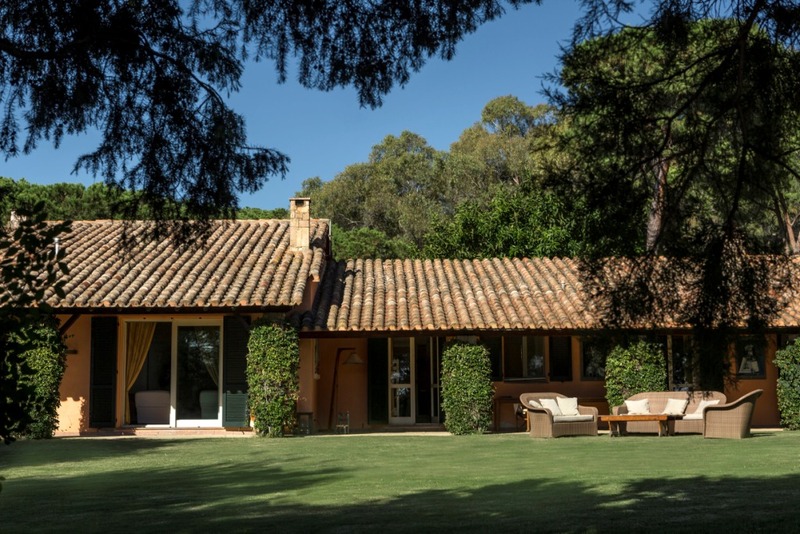 On the western side of the house there is a beautiful covered terrace from which you can access the pool surrounded by the Mediterranean vegetation. 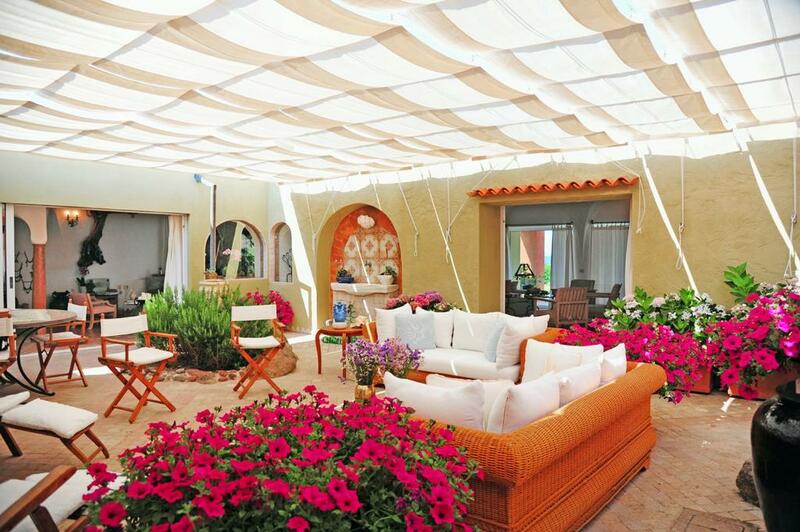 The property, in addition to the pool, offers numerous shaded areas to enjoy the most complete intimacy. 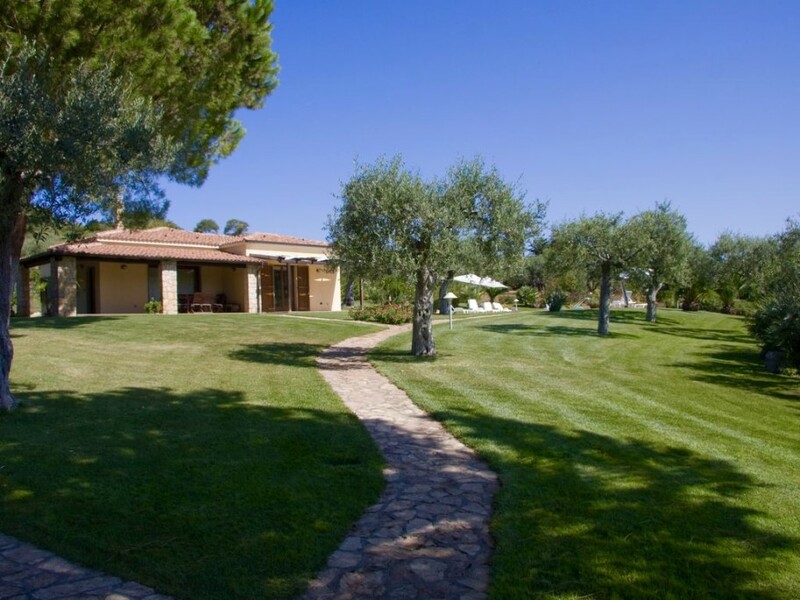 This is a prestigious independent villa just 4 km from the center of Alghero, situated on a promontory dominating a valley covered with olive trees and ancient pines. 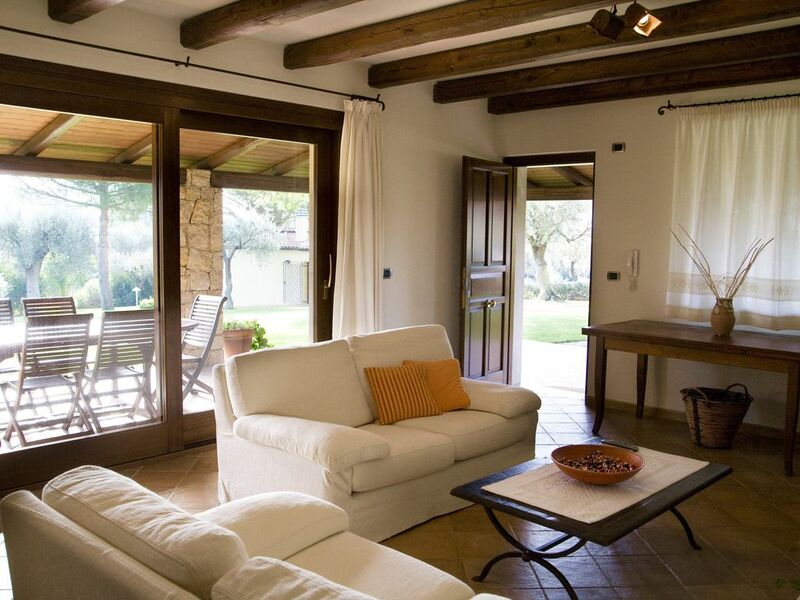 Built on one level, the villa is very spacious both inside and outside, and is furnished with great attention to details. 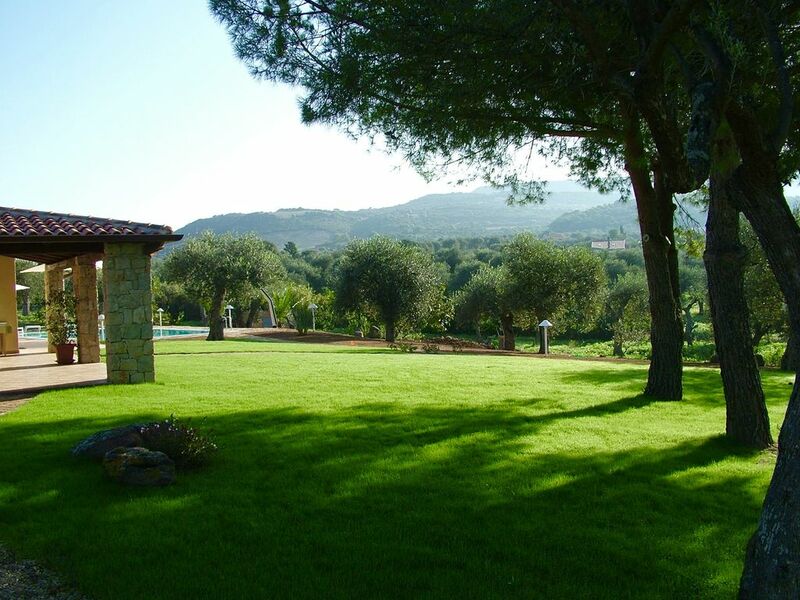 The large garden surrounding the villa is full of pines and ancient olive trees. The impressive infinity pool has a beautiful turquoise color. 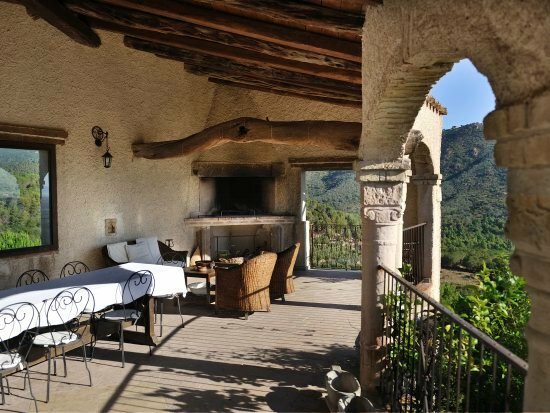 This property is ideal for couples looking for a quiet and relaxing stay in a context of absolute prestige. 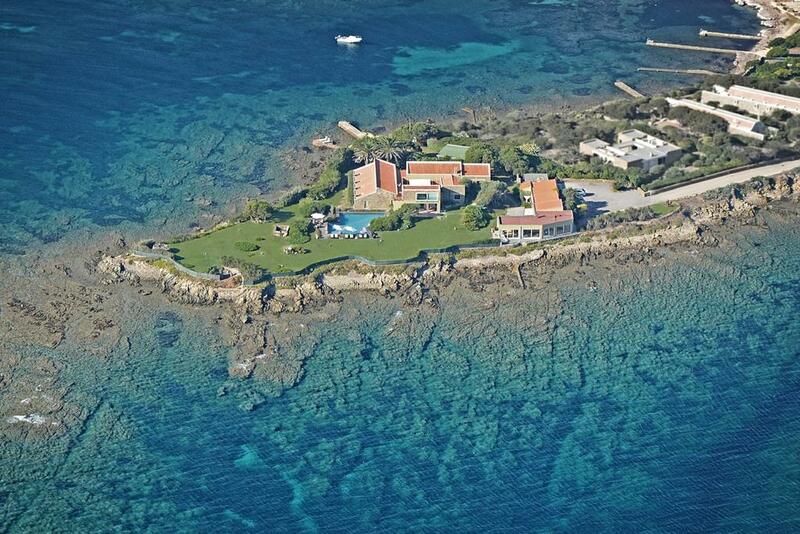 This prestigious villa is only a few km far from Alghero and its beautiful beaches. 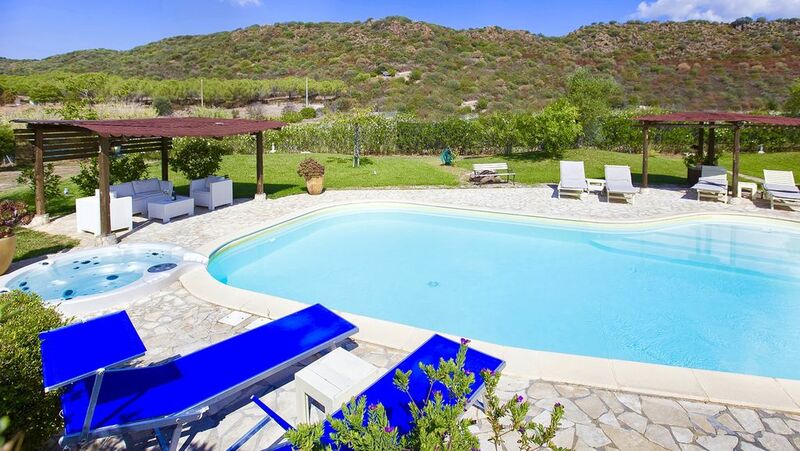 It is located in a particularly quiet area sourrended by olive and lemon trees adjacent to a natural reserve of the Ente Foreste Sardegna, rich in typical Mediterranean vegetation with breathtaking landscapes, so as to guarantee an extremely relaxing stay. 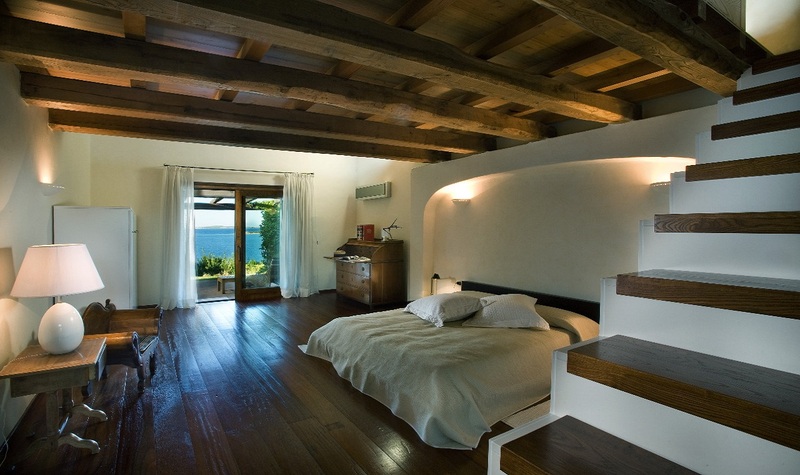 With great attention to every detail, the villa is furnished with a prestigious mix of rustic and modern style.